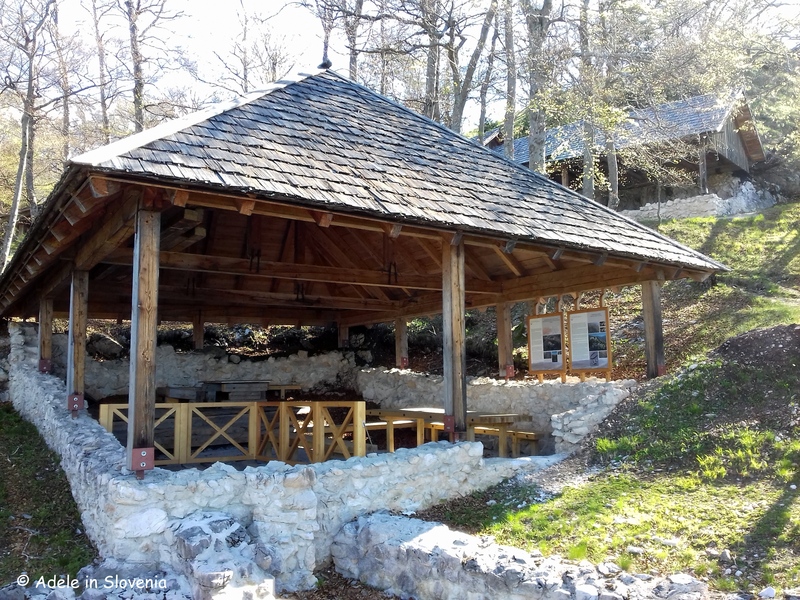 A Spectrum of Sports and Culture Beneath Stol! 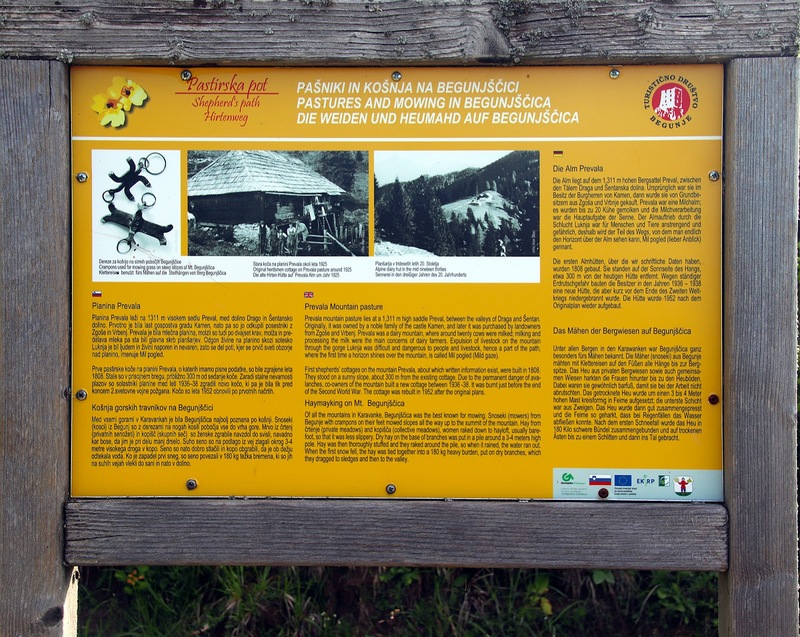 Stol, the highest mountain in the Karavanke range, which presides majestically over the Žirovnica area, together with the villages that lie beneath it, offer a whole spectrum of sporting activities with something for everyone – from challenging hikes to summits and family-friendly meanders along the many mountain pastures, to horse riding, cycling, running and even an adrenaline-filled zipline over the Sava Dolinka river. 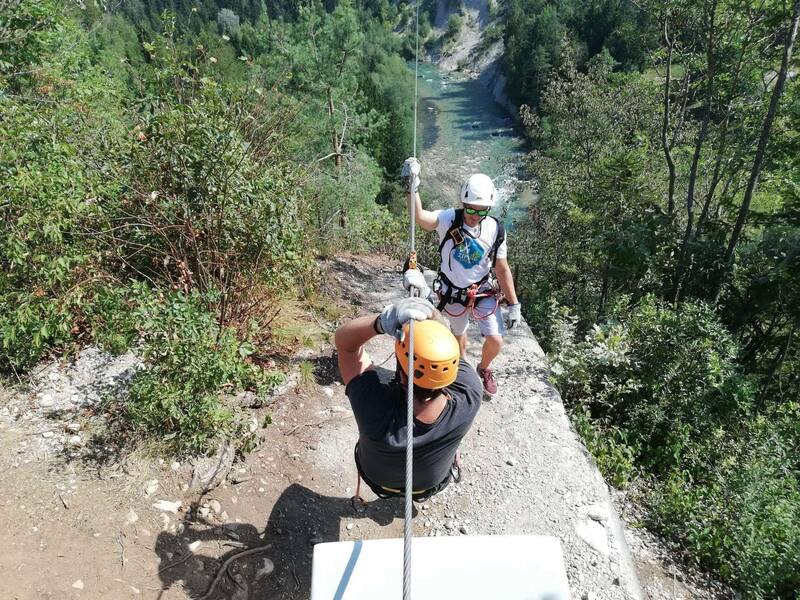 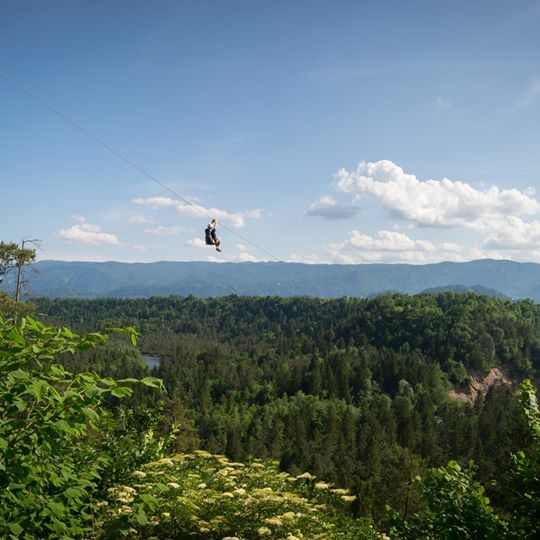 Zipline Dolinka is a new, exciting way to get some adrenaline whilst marvelling at the stunning scenery around and below you. 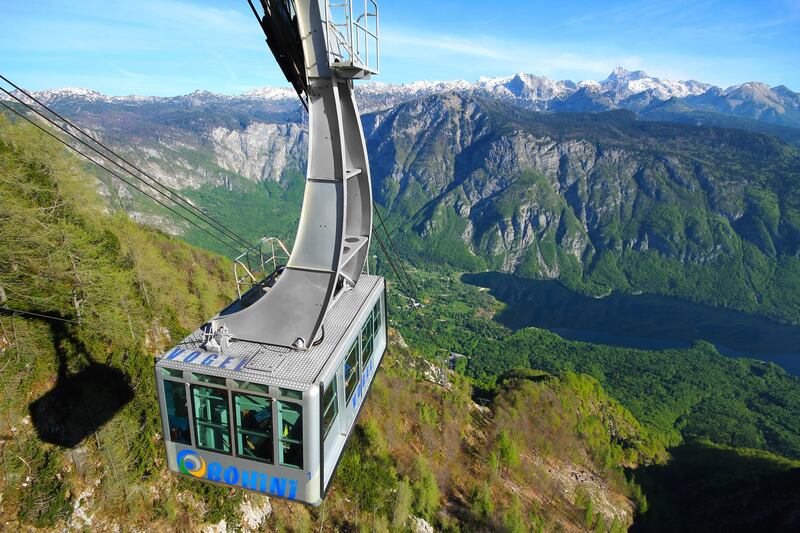 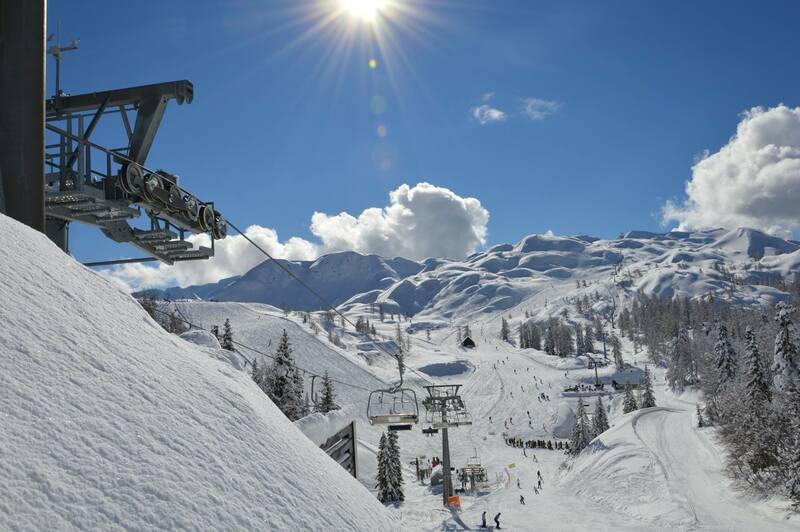 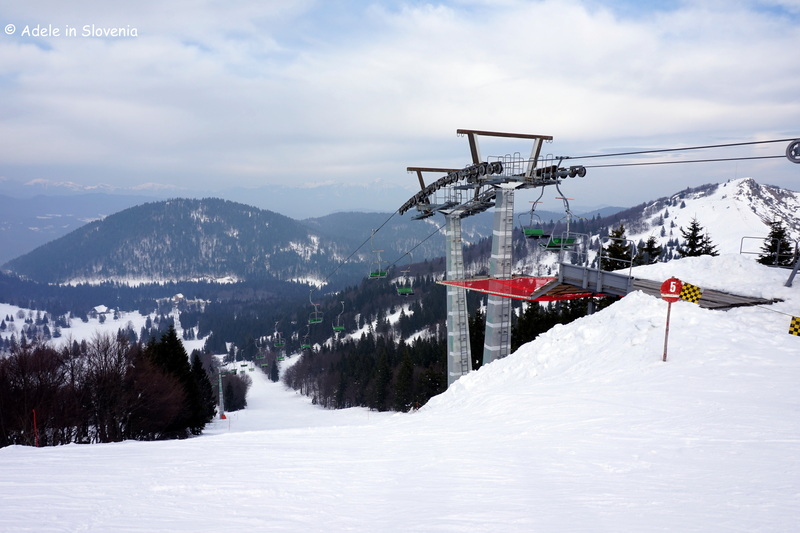 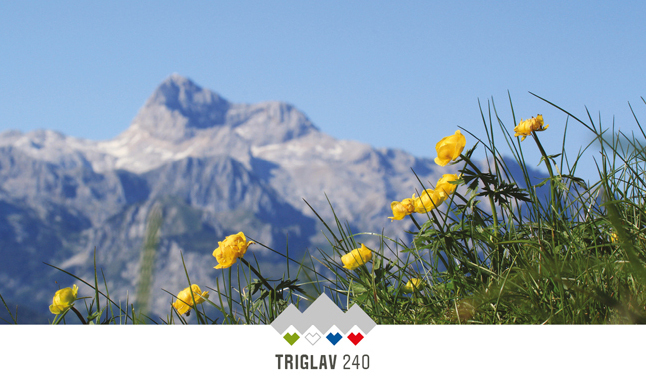 Its 5 cables offer a total of 2,371 metres of descent over the Sava Dolinka river. 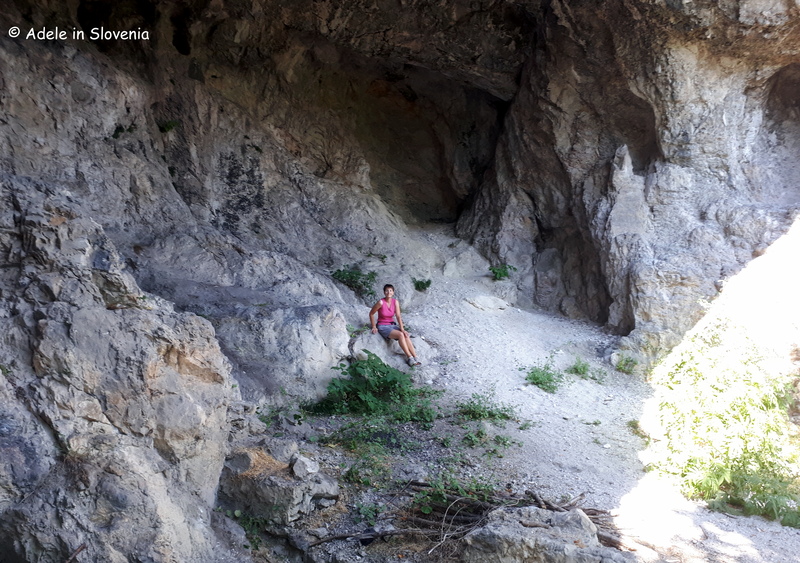 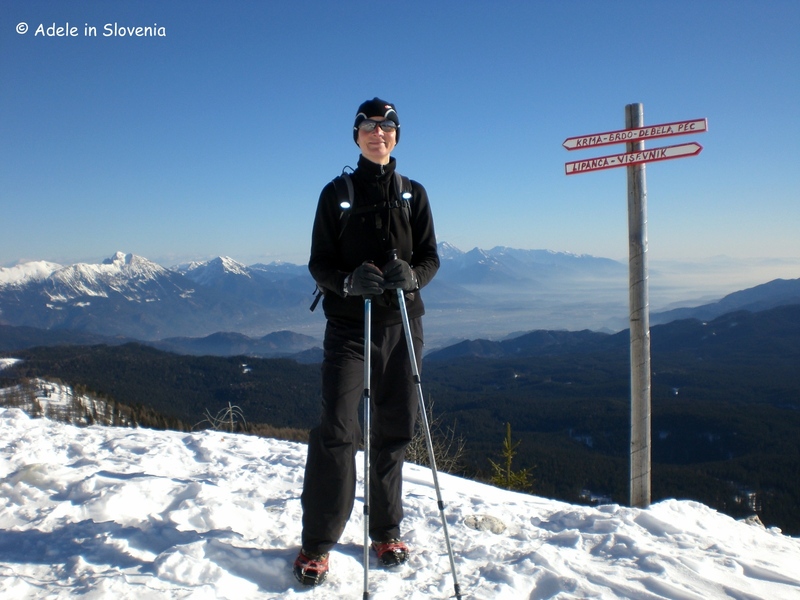 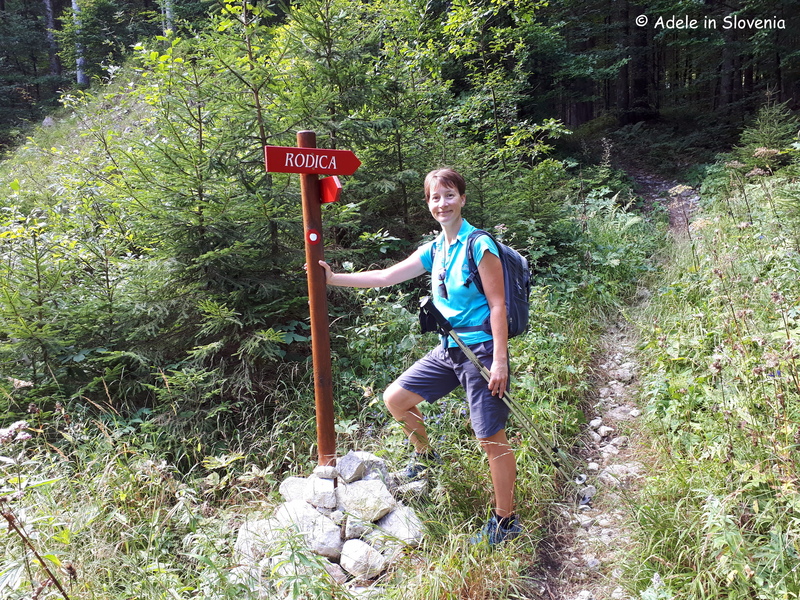 For those who prefer to have both feet on solid ground, the Žirovnica area offers walks and hikes for all the family. 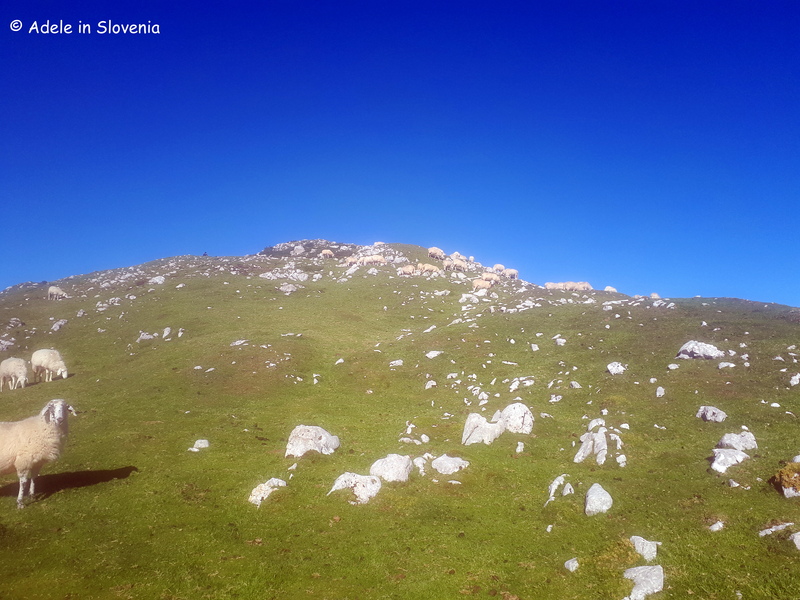 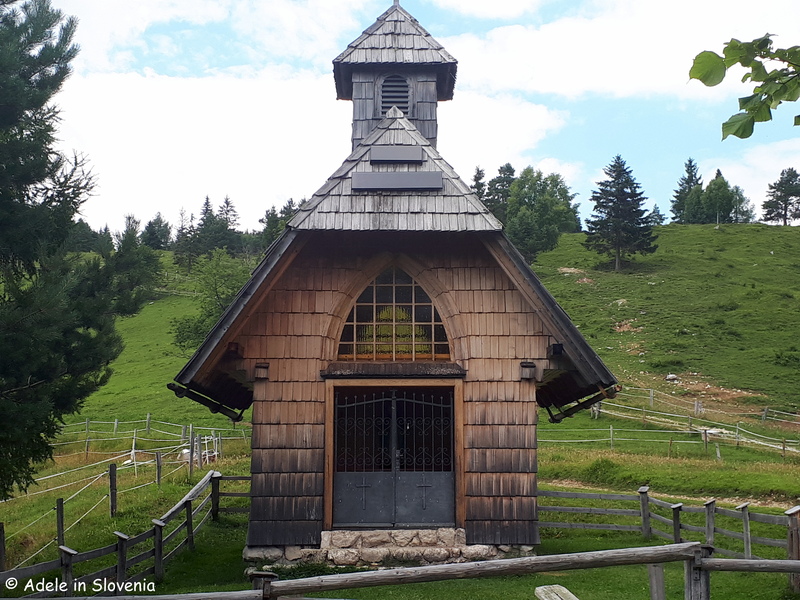 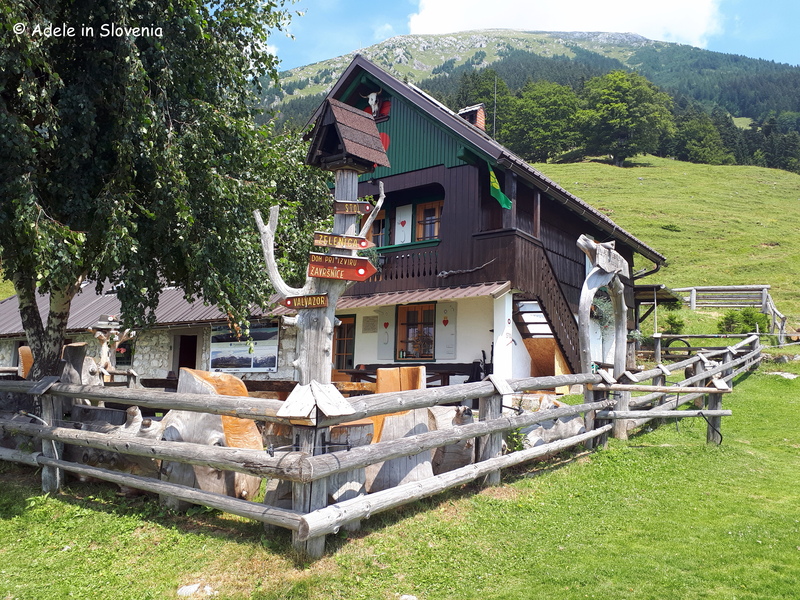 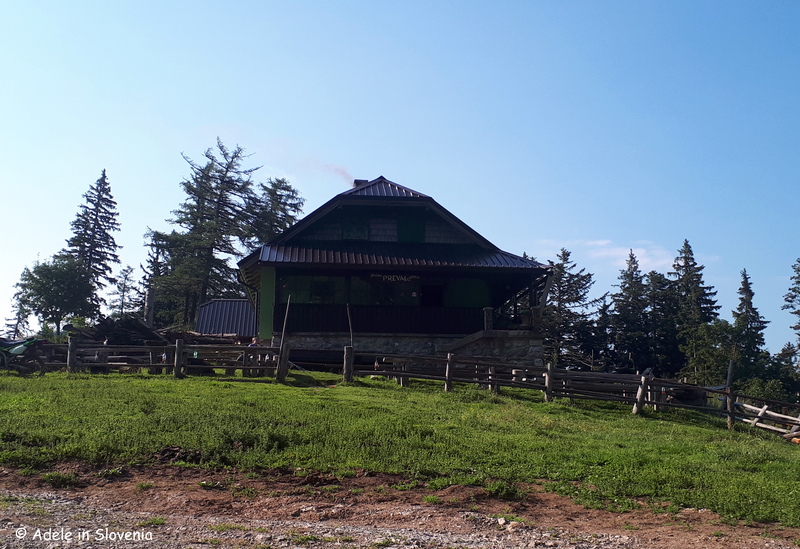 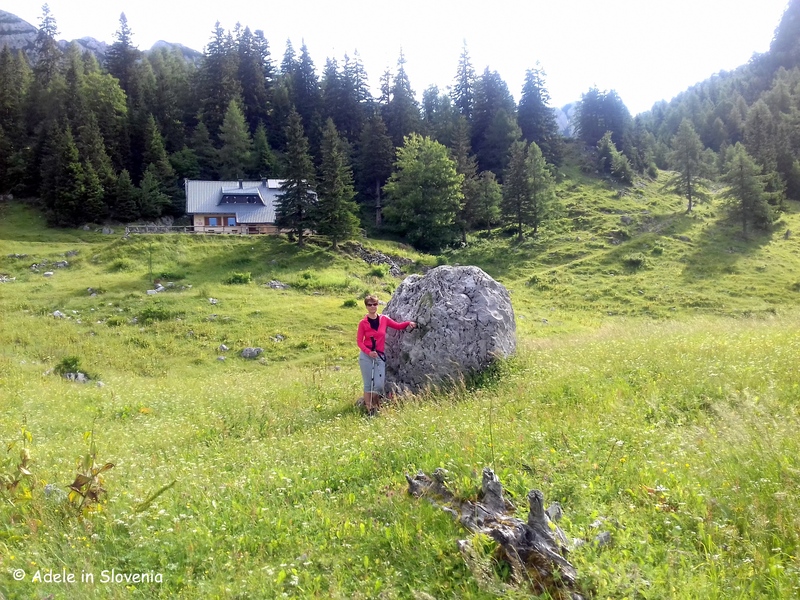 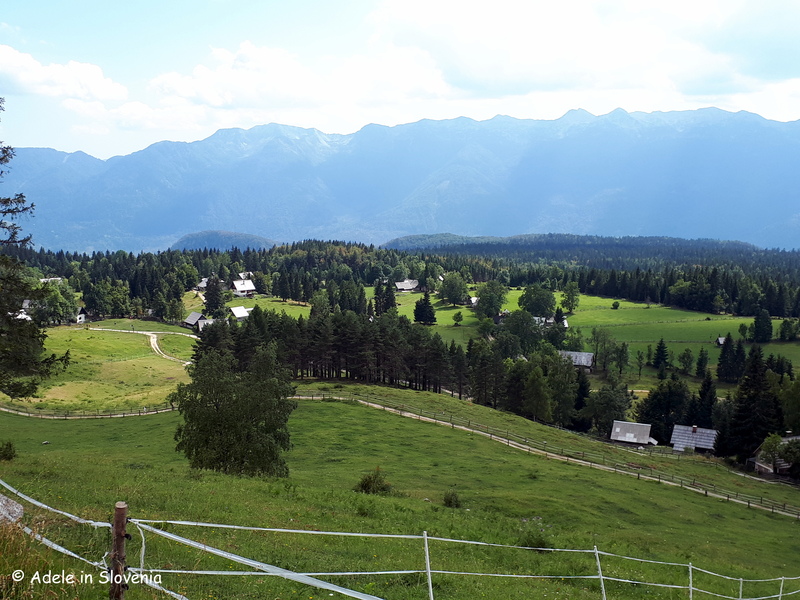 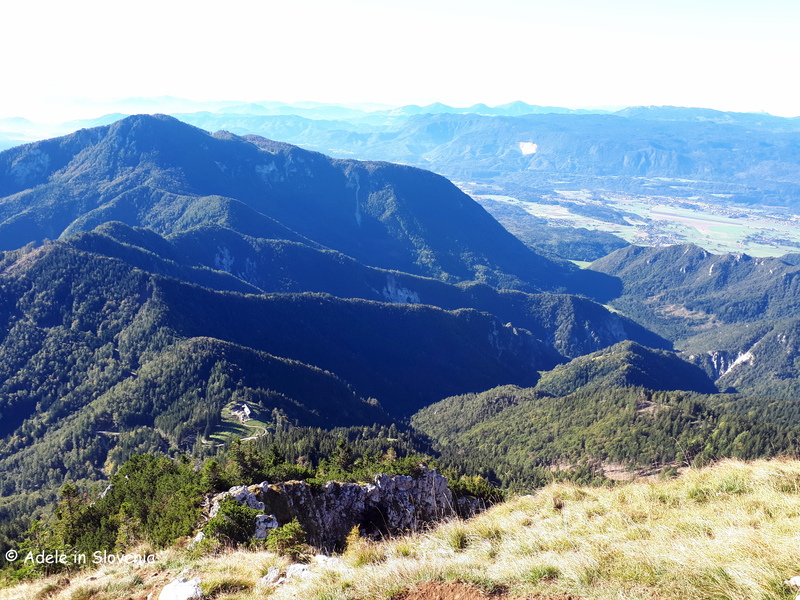 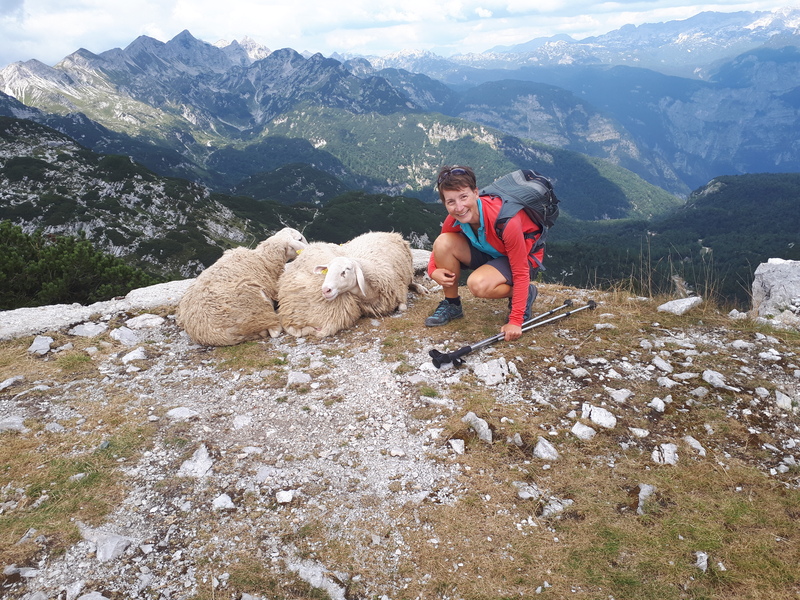 For example, if you looking for a more level walk, you could drive the 5km mountain road up to the Valvasorjev dom mountain hut and then set off on foot, first passing the Žirovniška planina mountain pasture and then on to one of my favourite spots – the Zabreška planina mountain pasture. 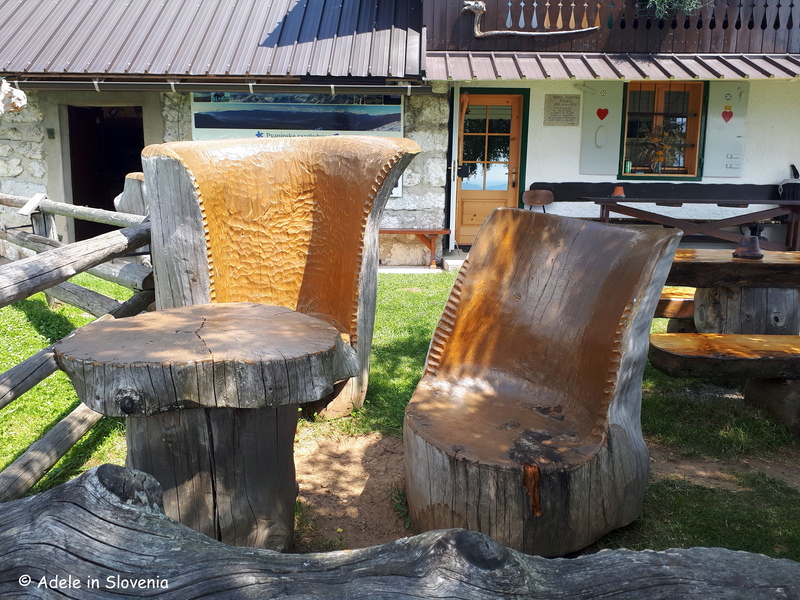 Though not an official mountain hut, in fine weather at weekends you may be able to get refreshments at the pasture hut, where you can take a seat on the wonderful, unique wooden furniture and soak up the views! 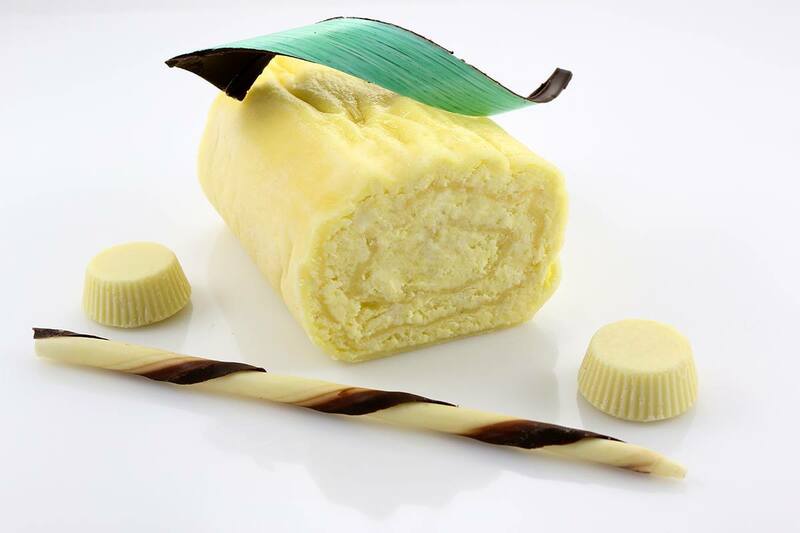 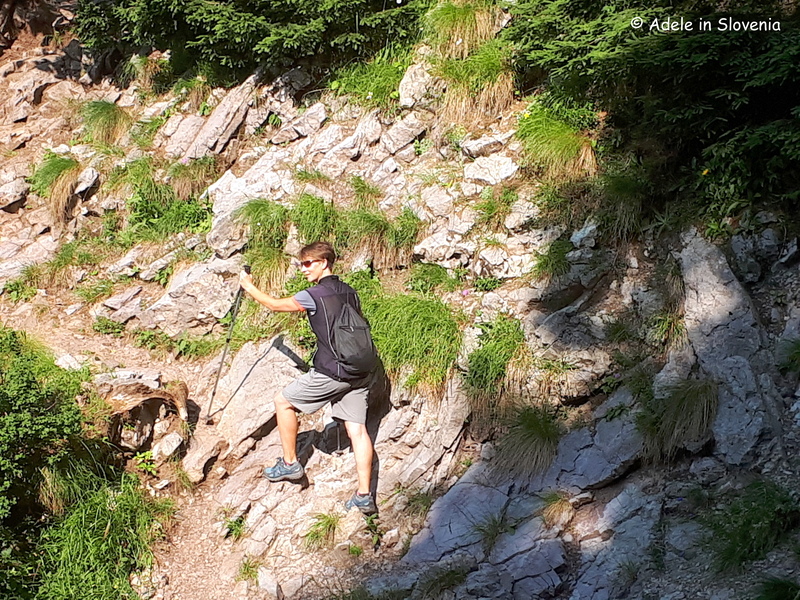 Kids – big and small – will love it too! 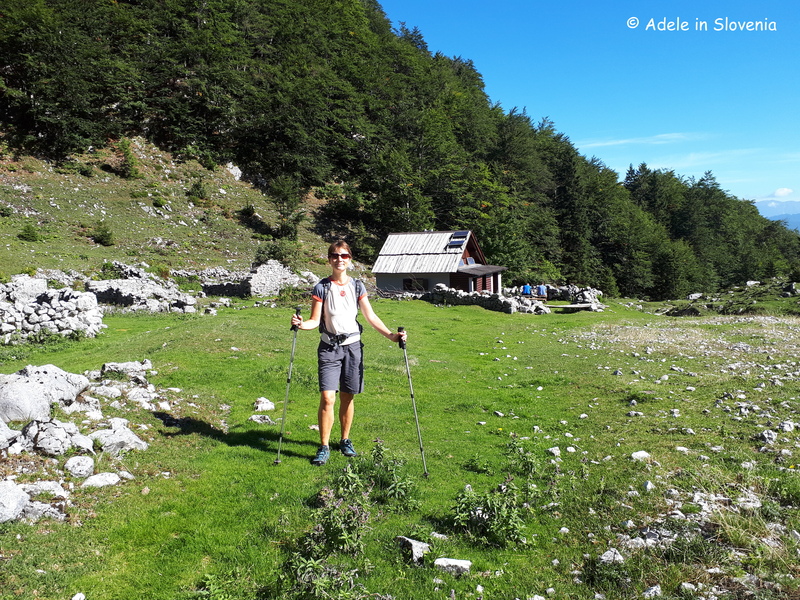 You can even continue further to the Doslovška planina mountain pasture and towards the Dom pri Izviru Završnice mountain hut, which I wrote about in a previous blog here. 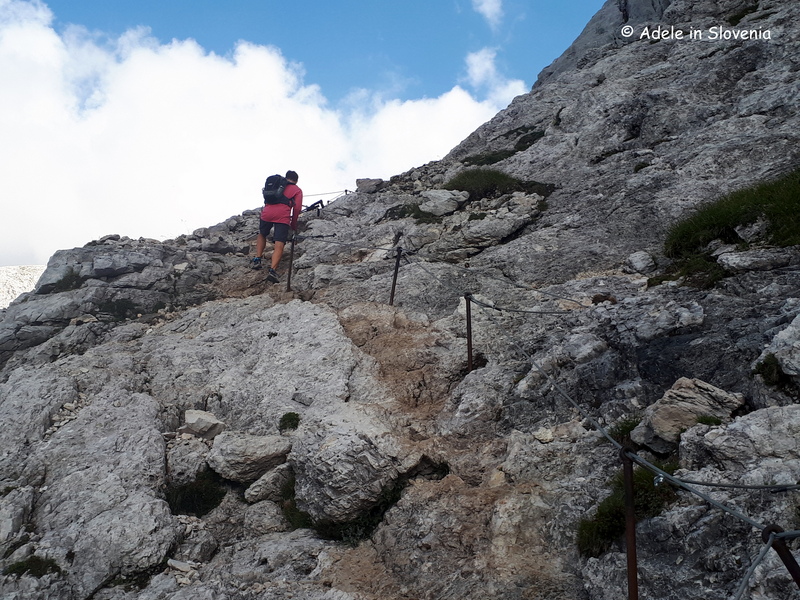 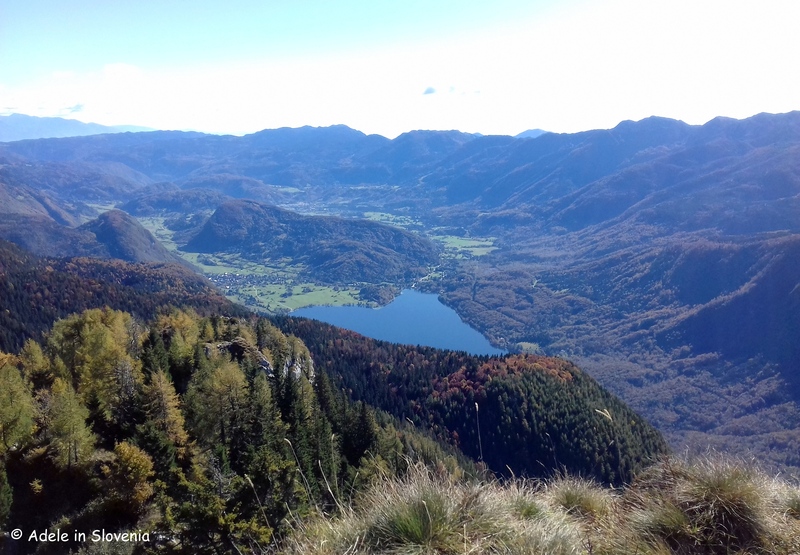 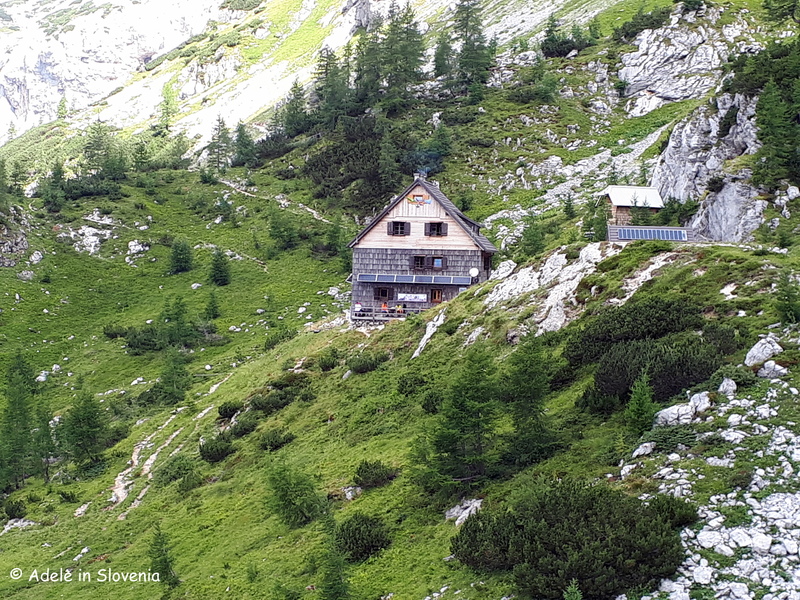 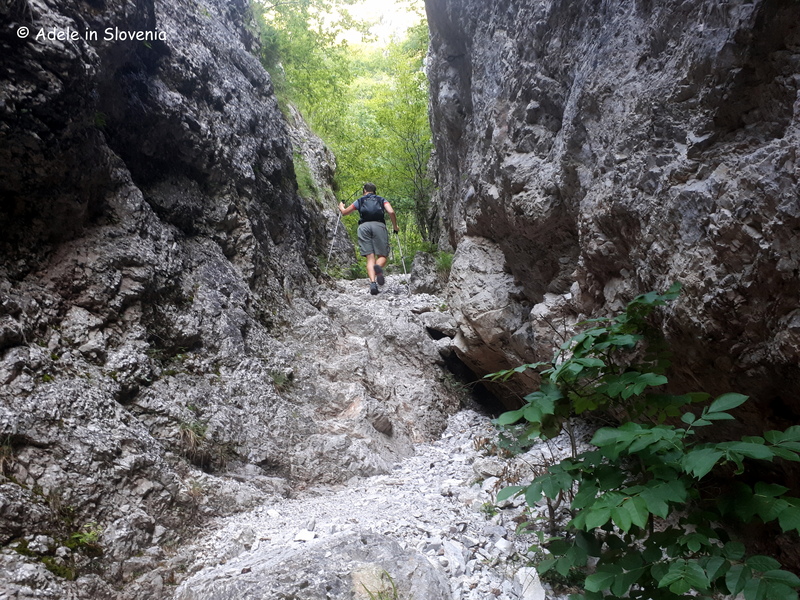 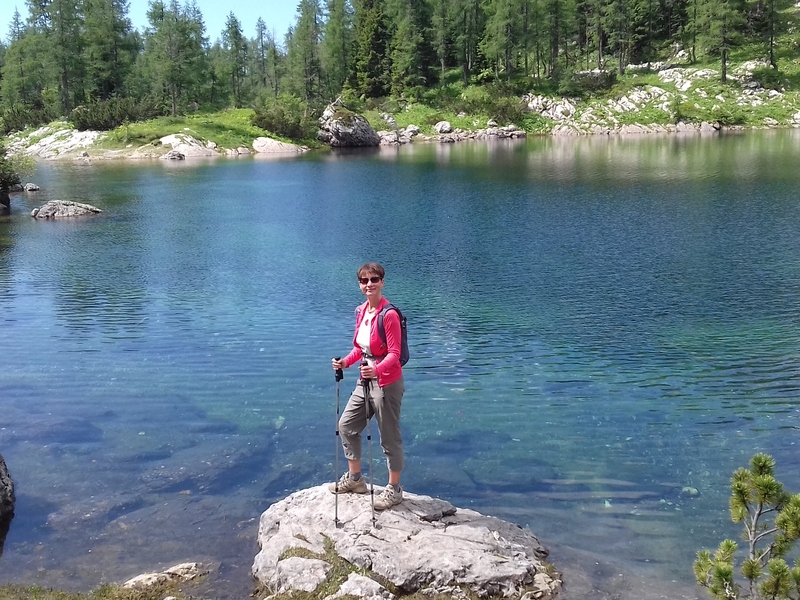 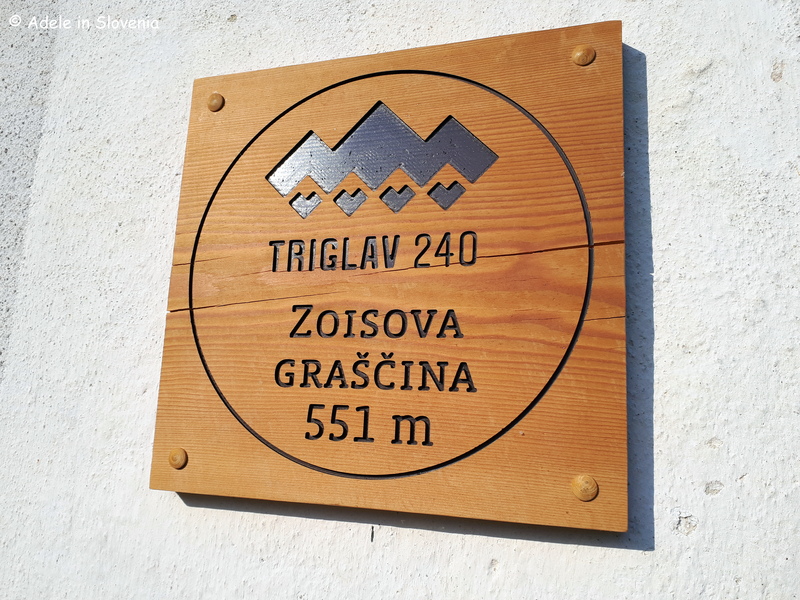 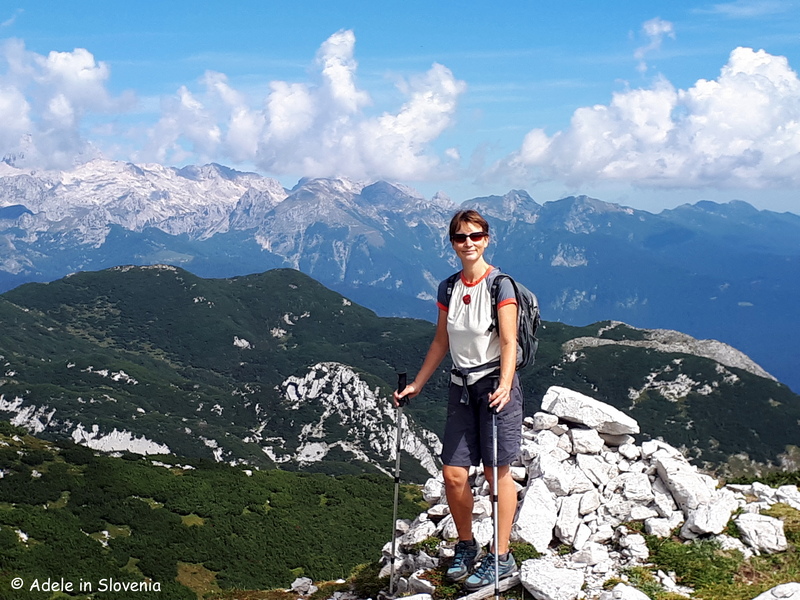 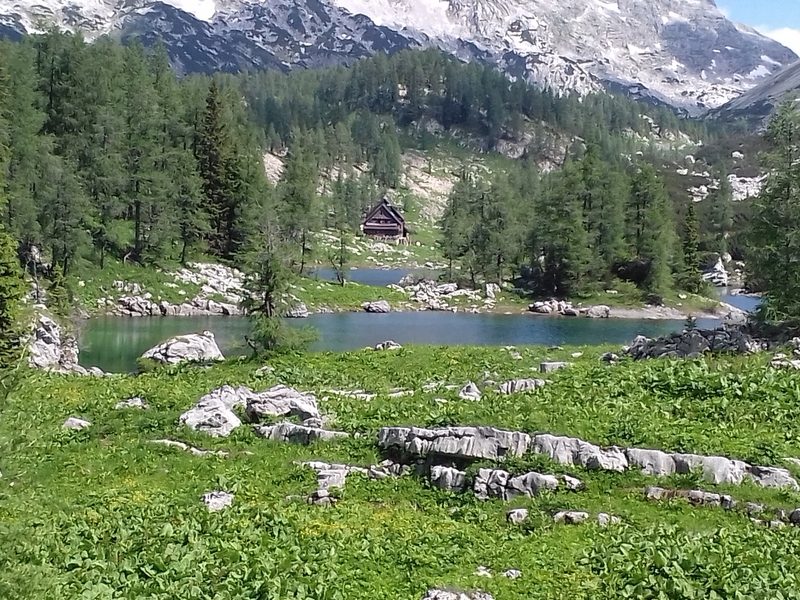 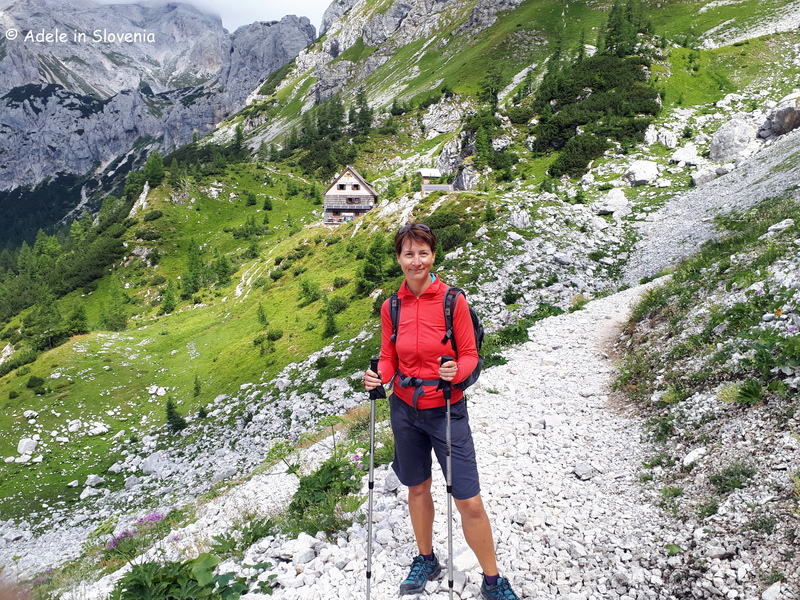 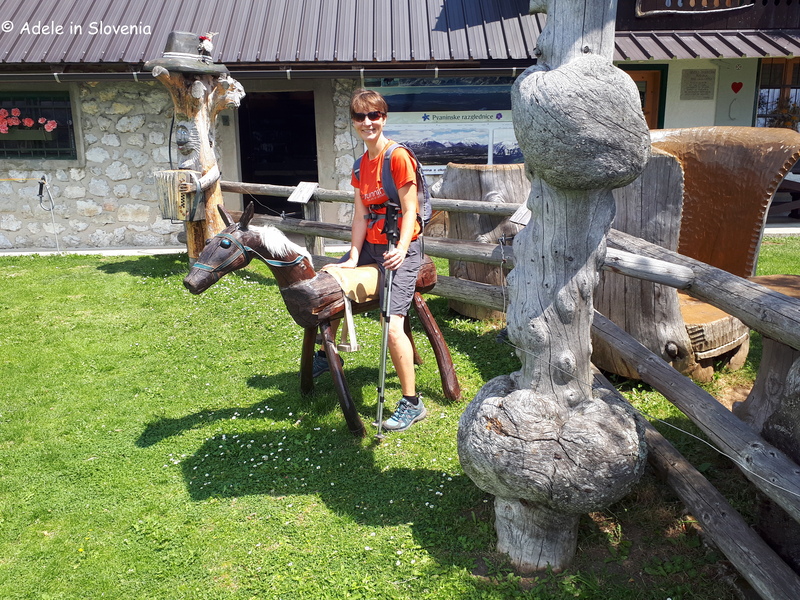 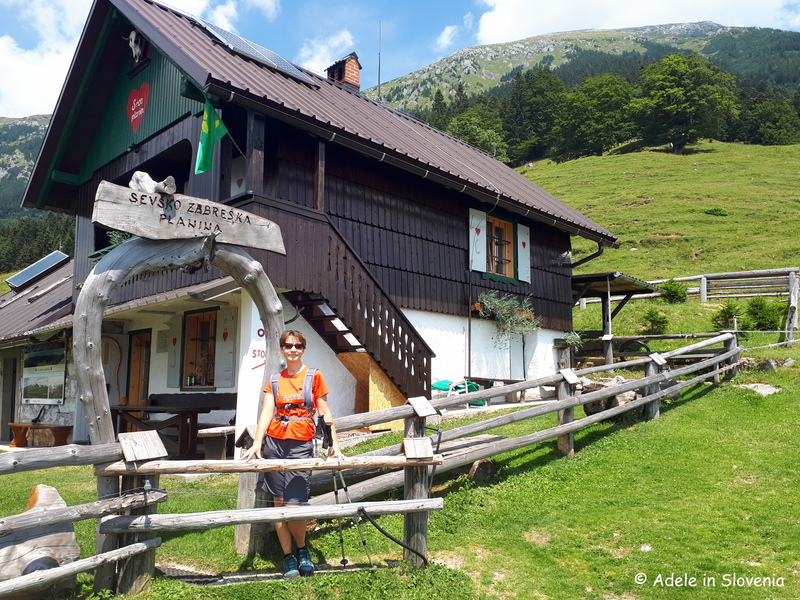 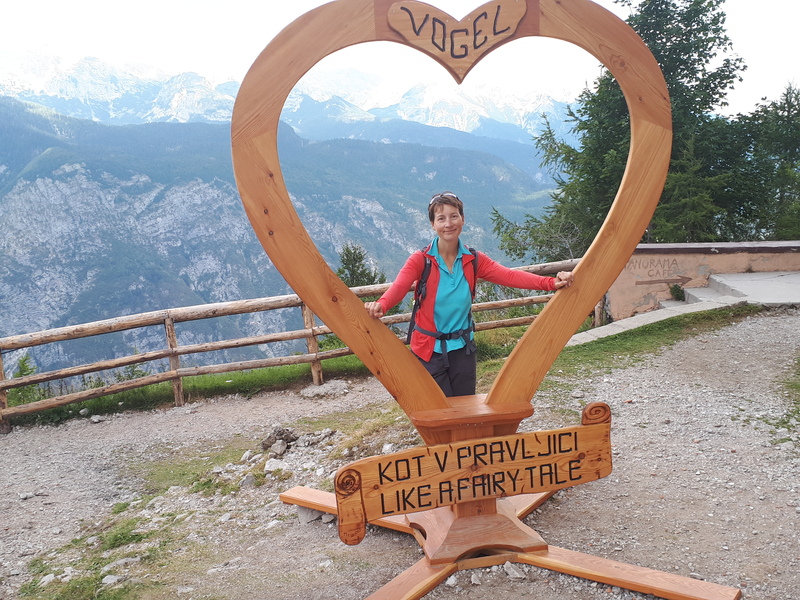 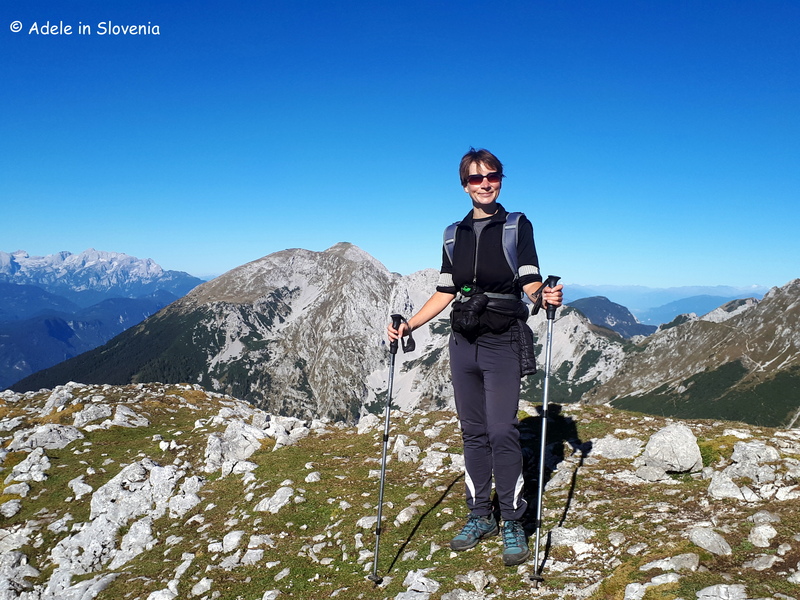 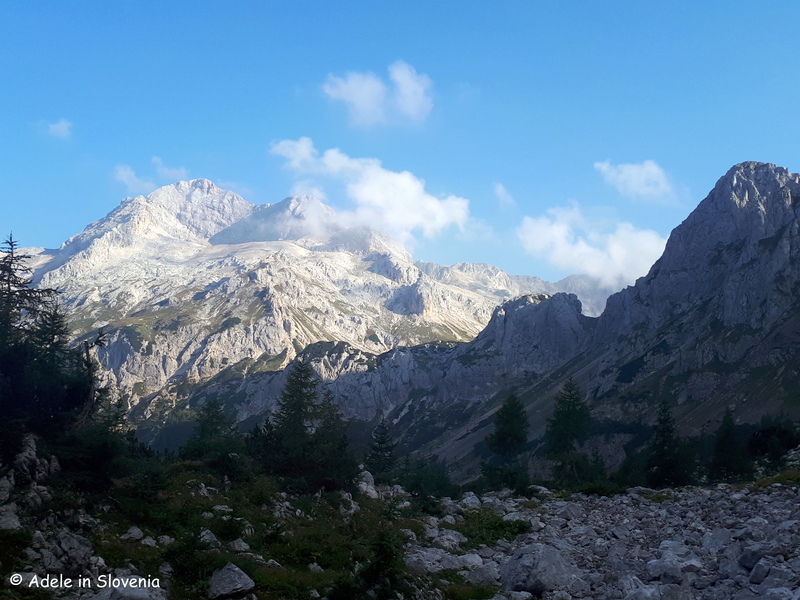 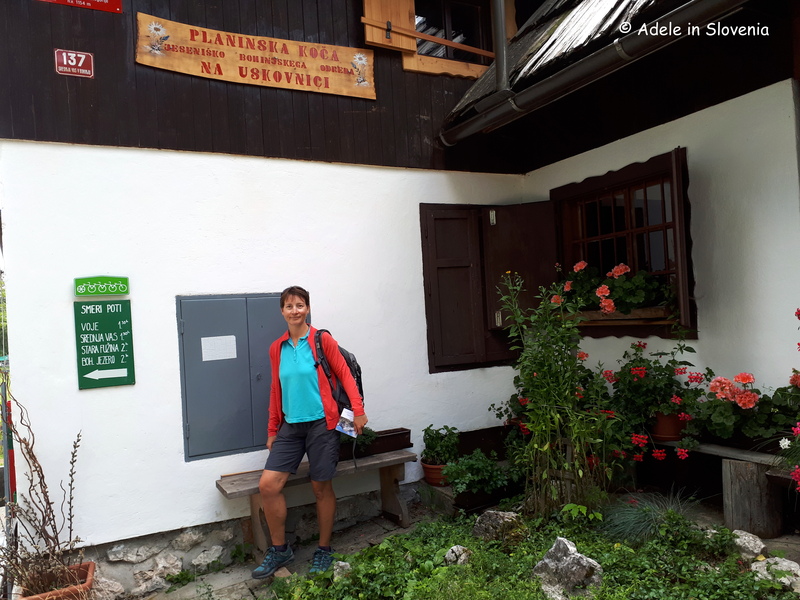 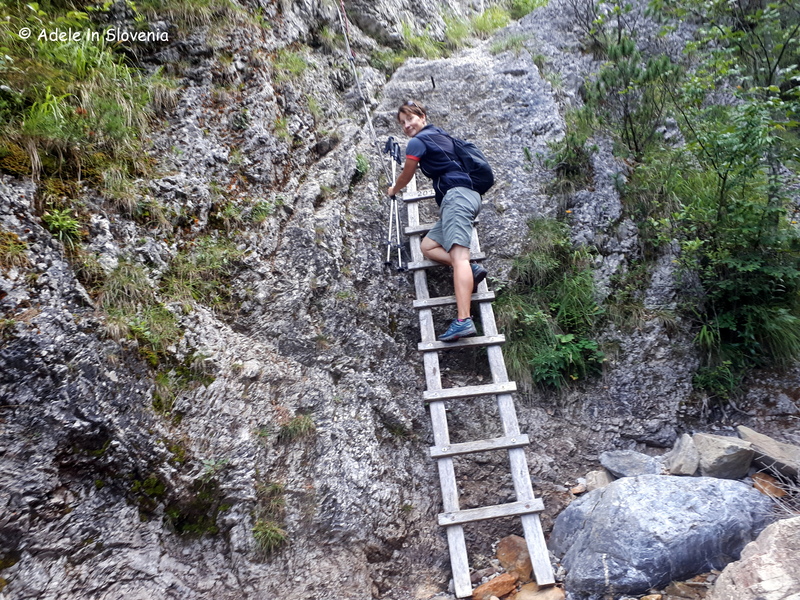 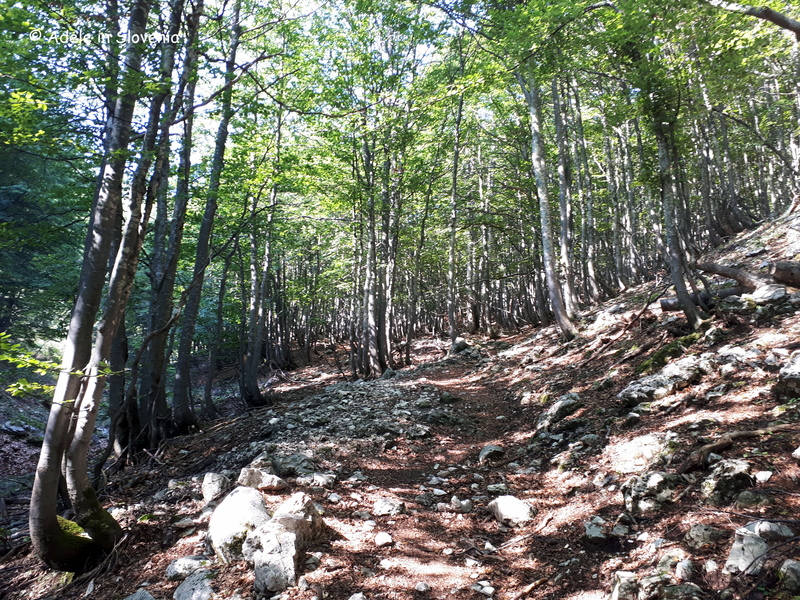 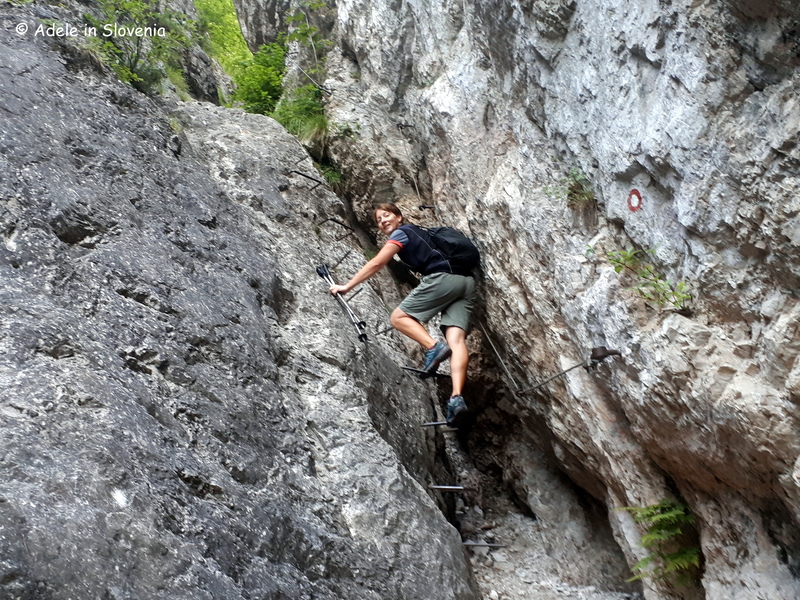 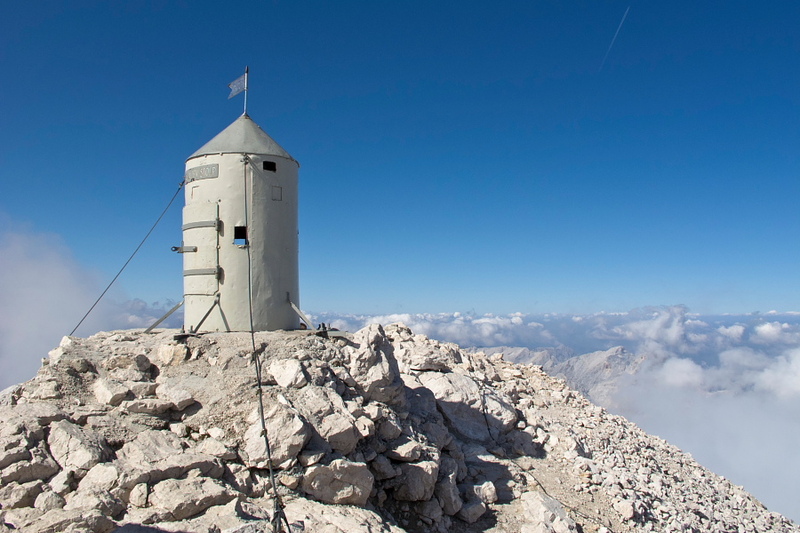 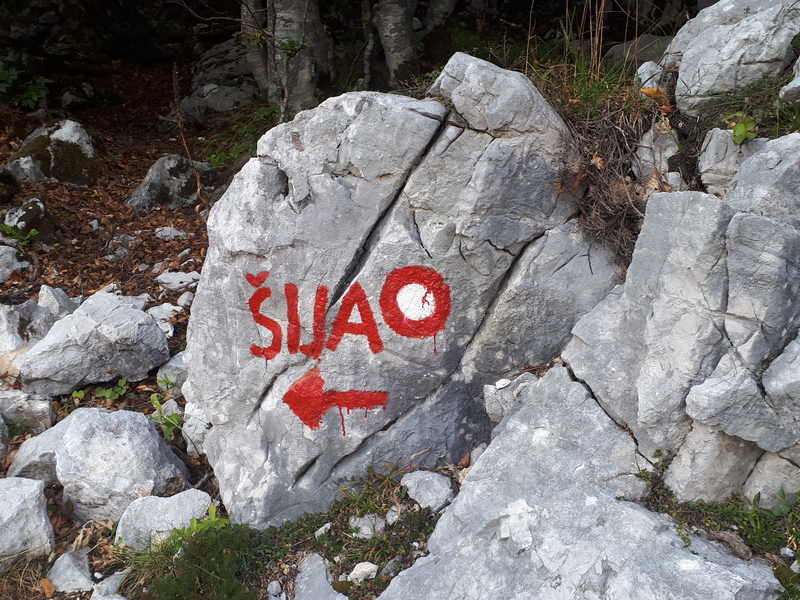 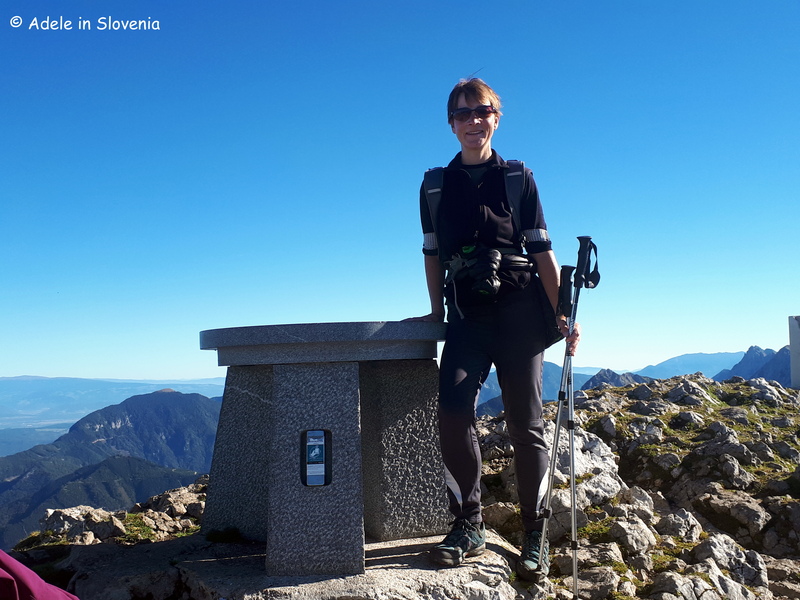 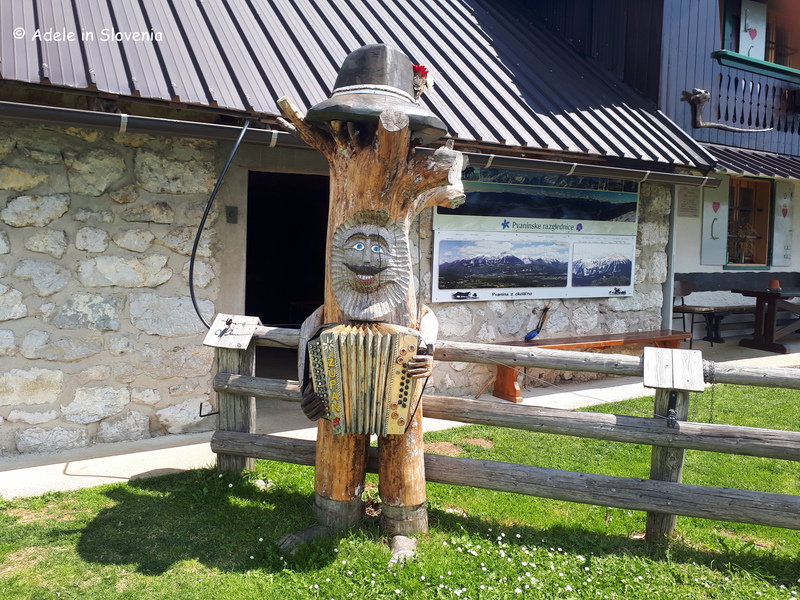 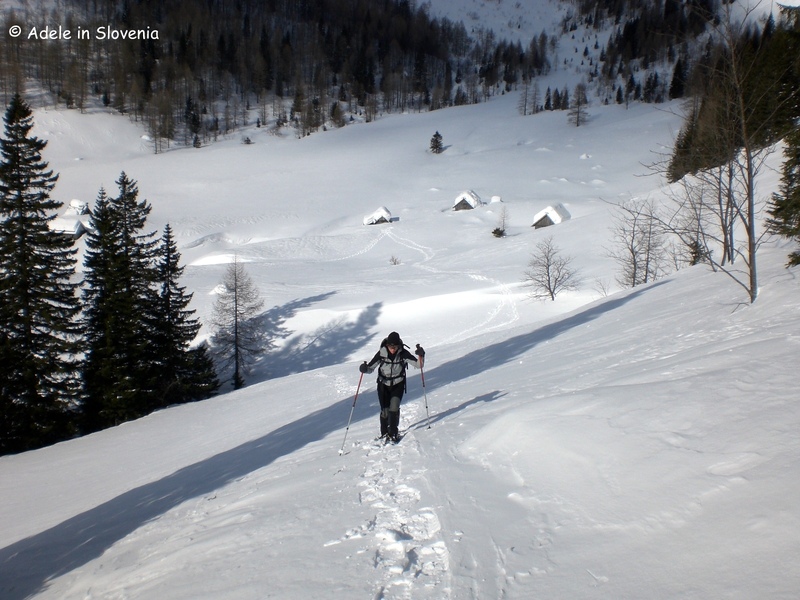 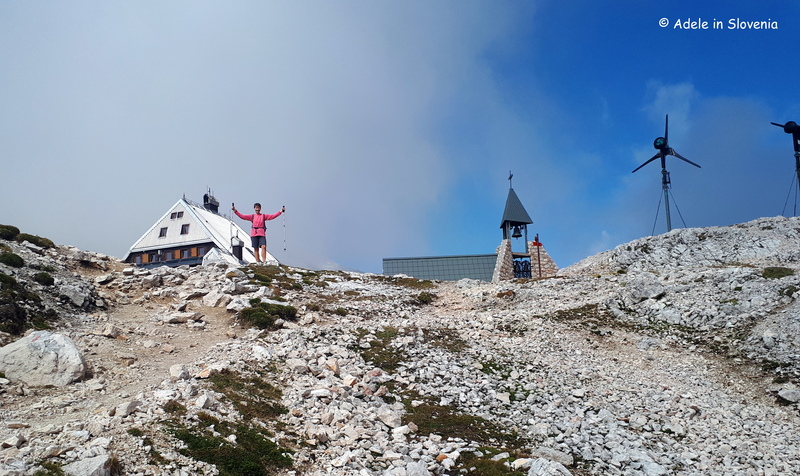 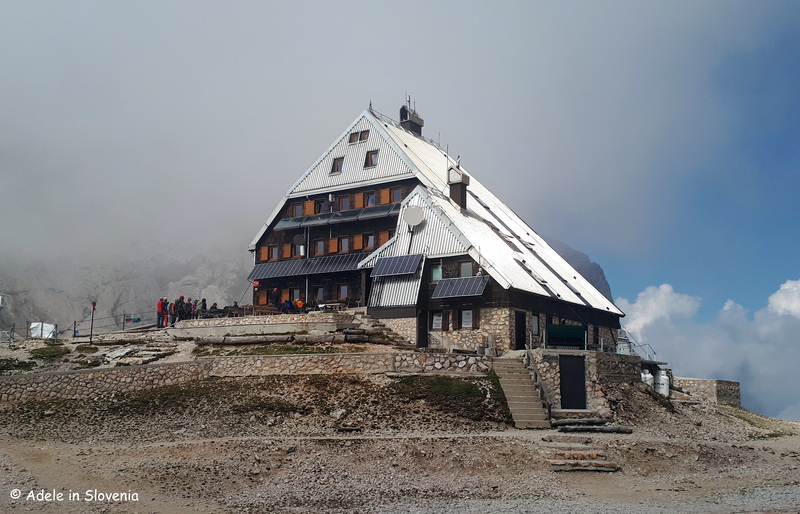 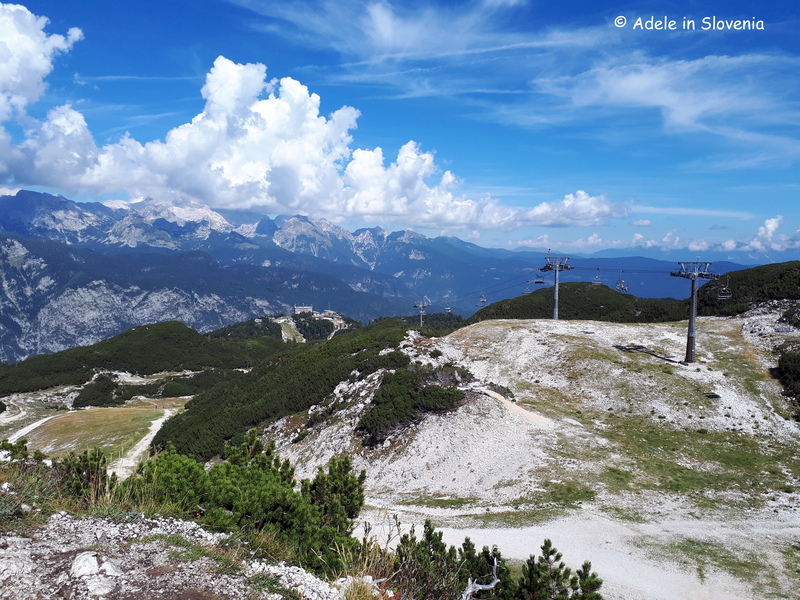 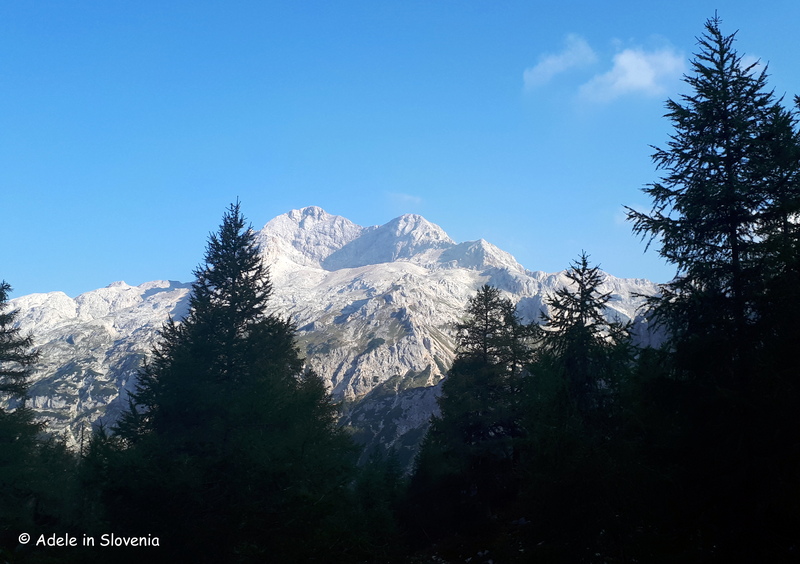 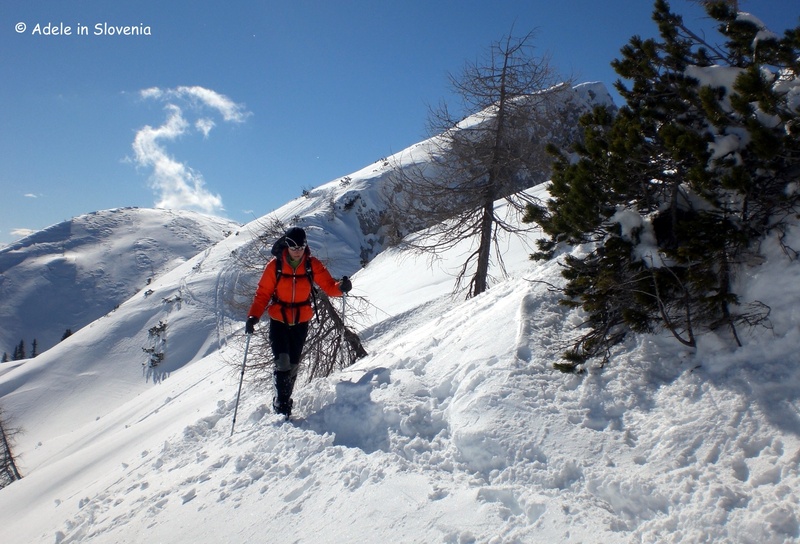 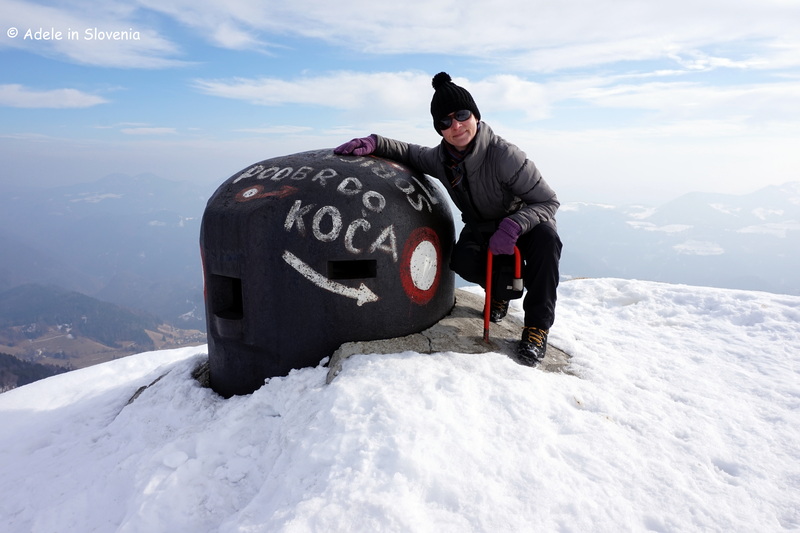 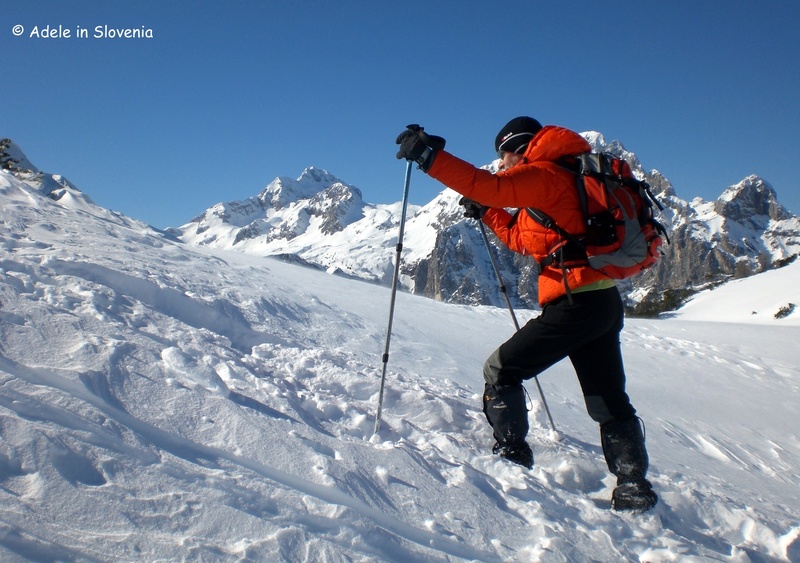 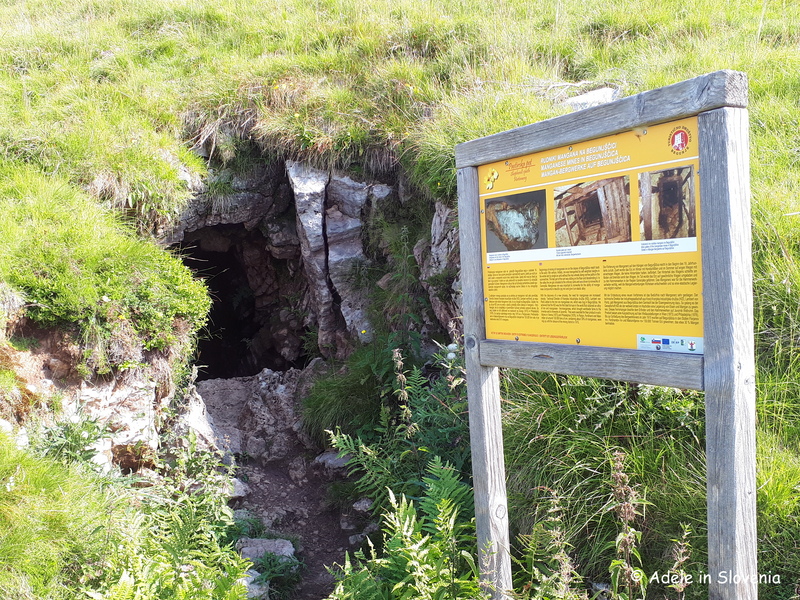 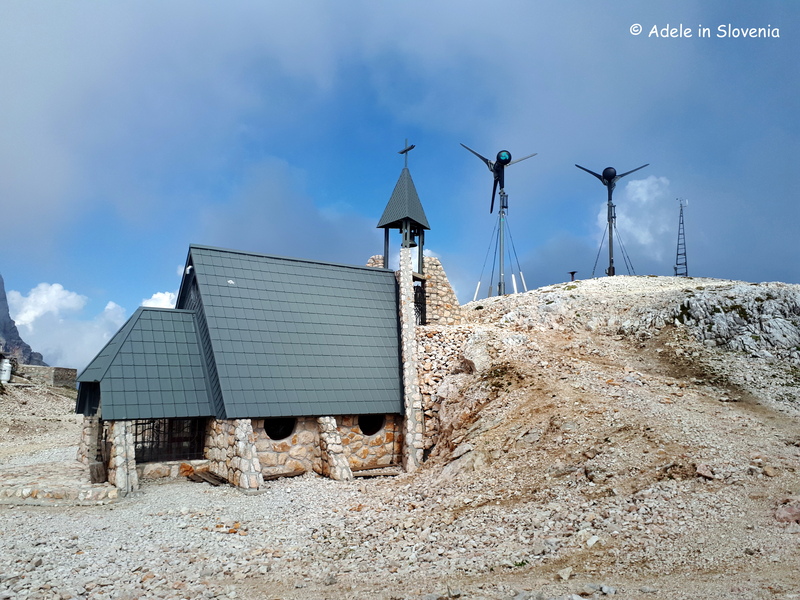 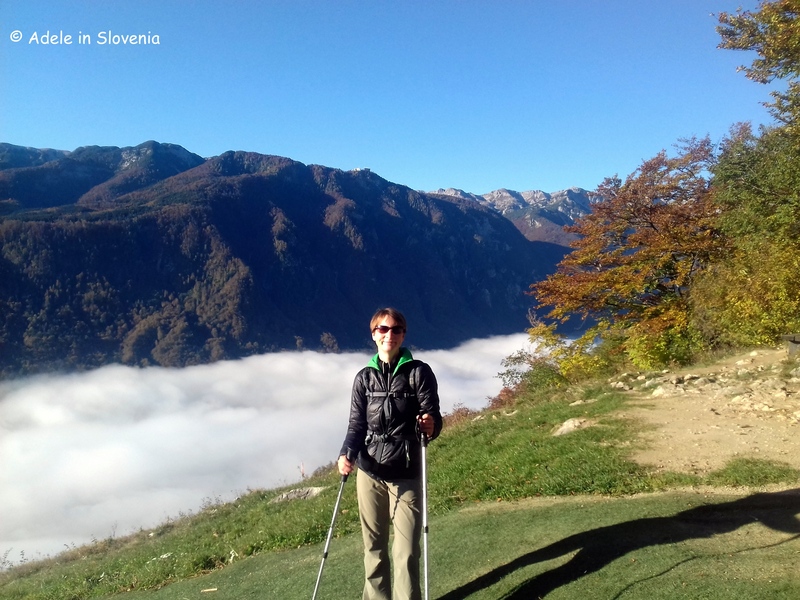 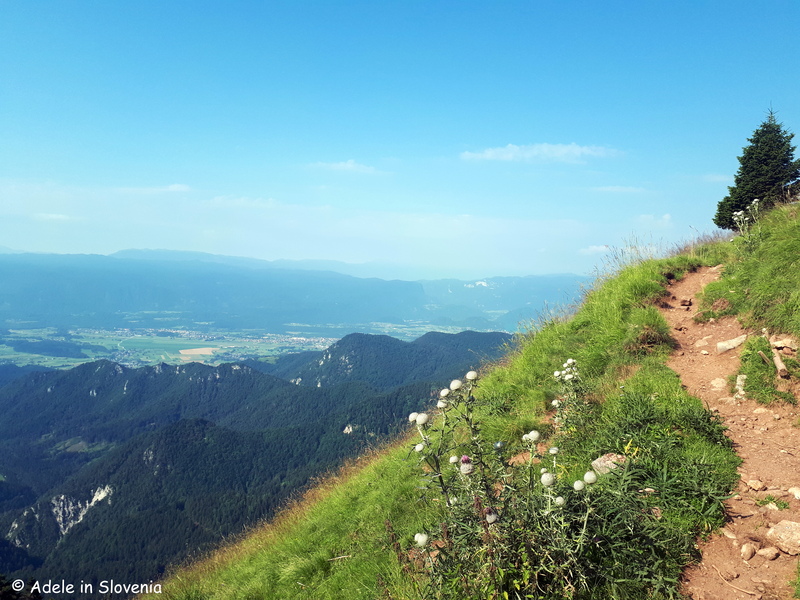 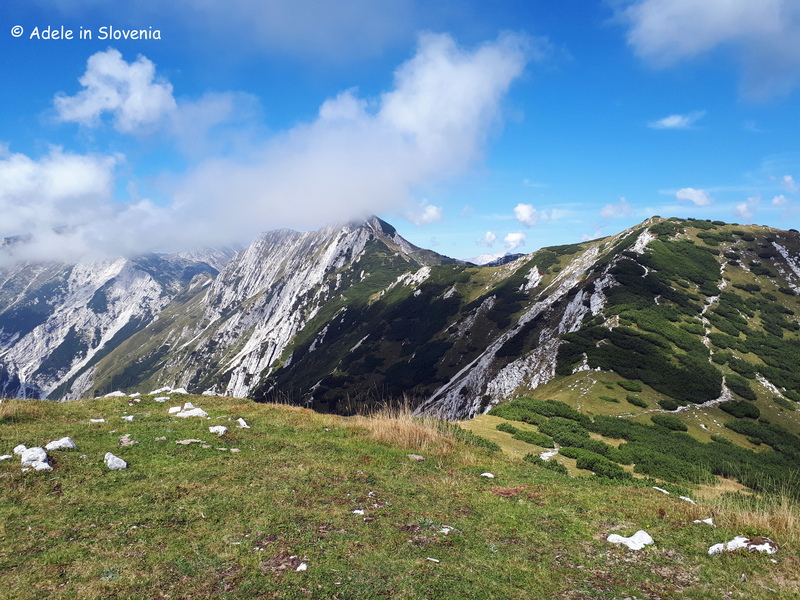 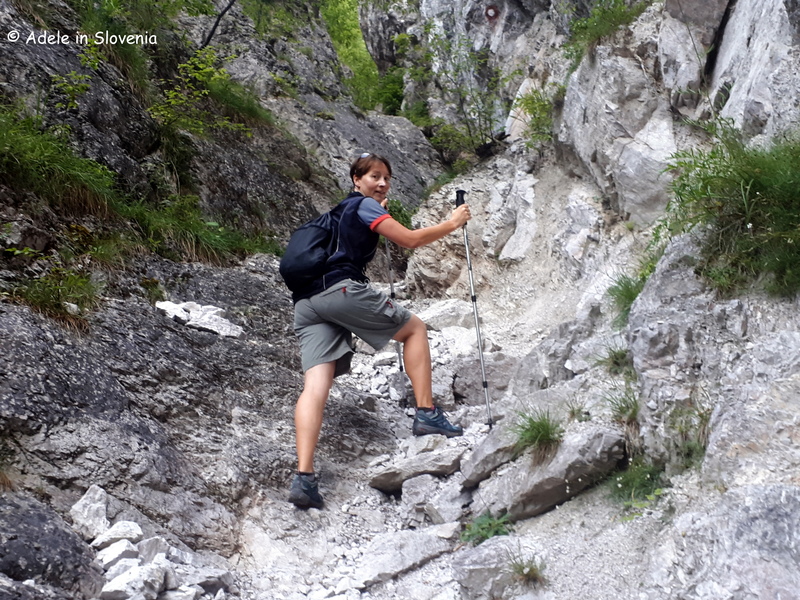 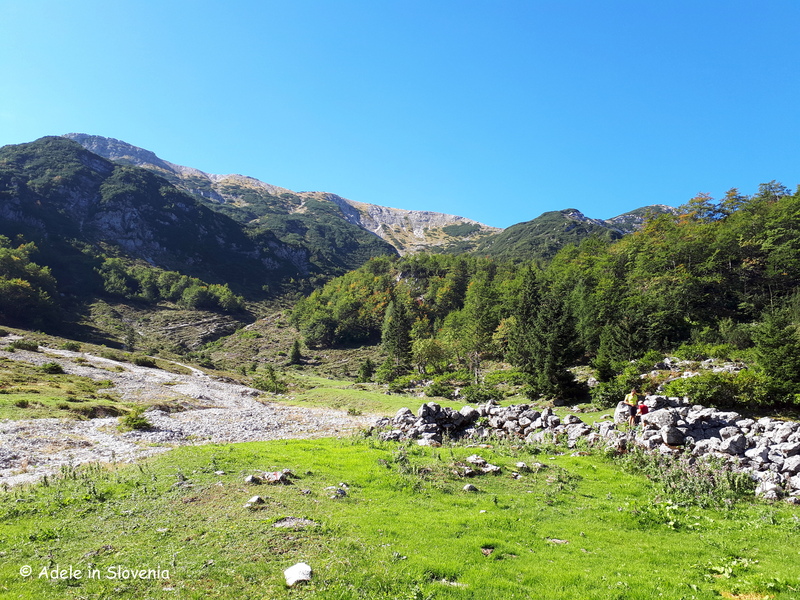 Those wanting more challenging hikes are well catered for too, with trails to the summit of Stol itself, as well as, among others, to the Valvasorjev dom mountain hut and the Ajdna Archaelogical Site. 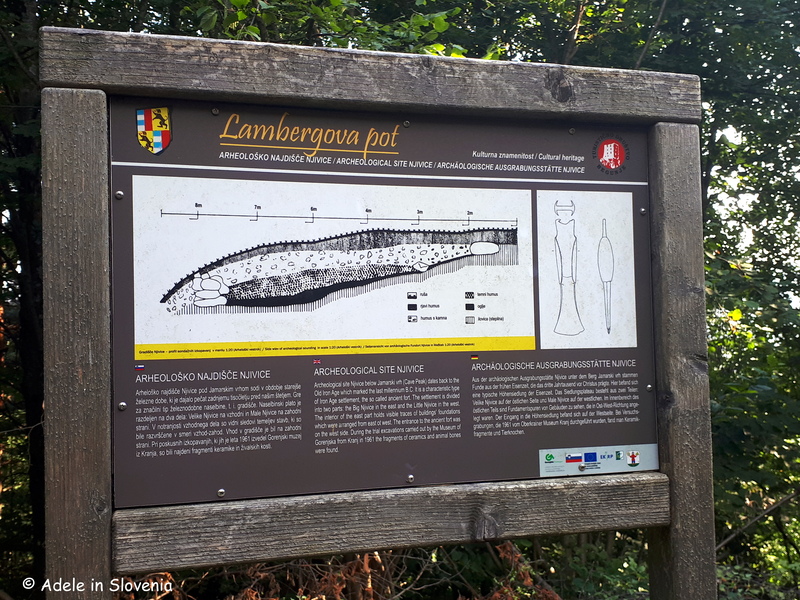 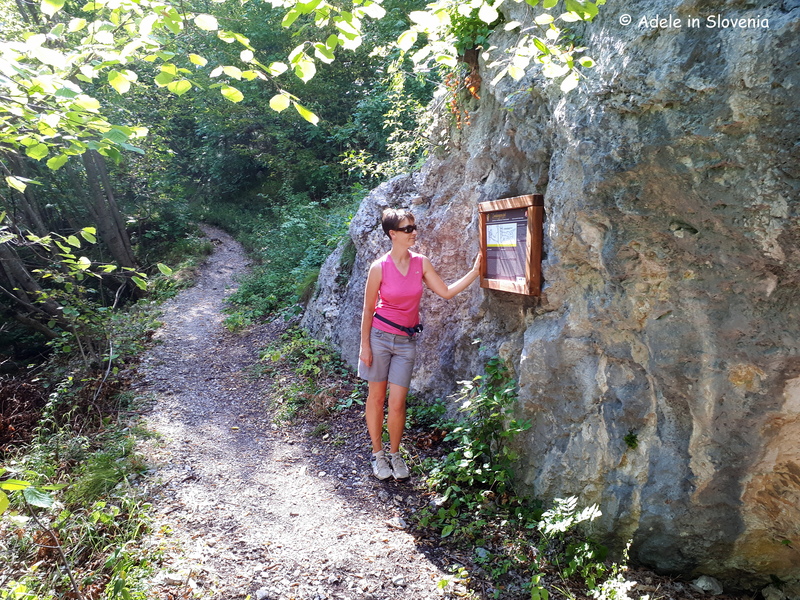 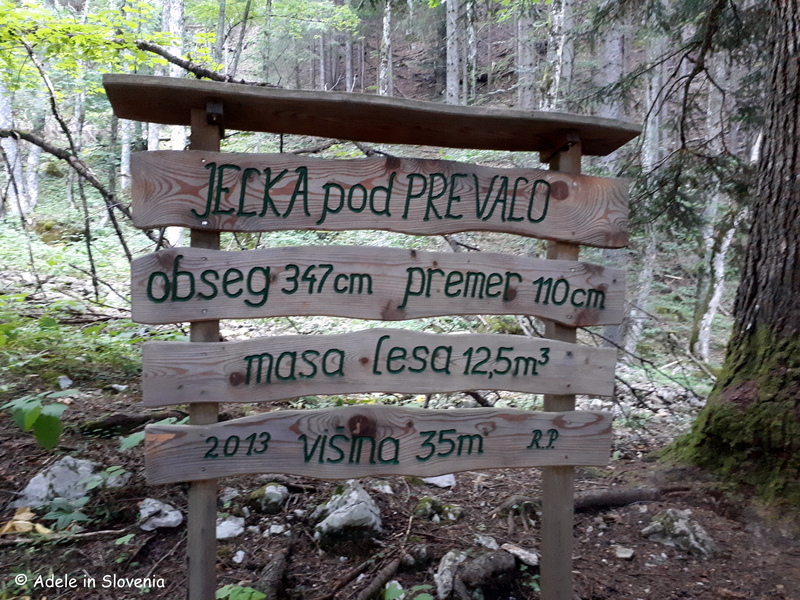 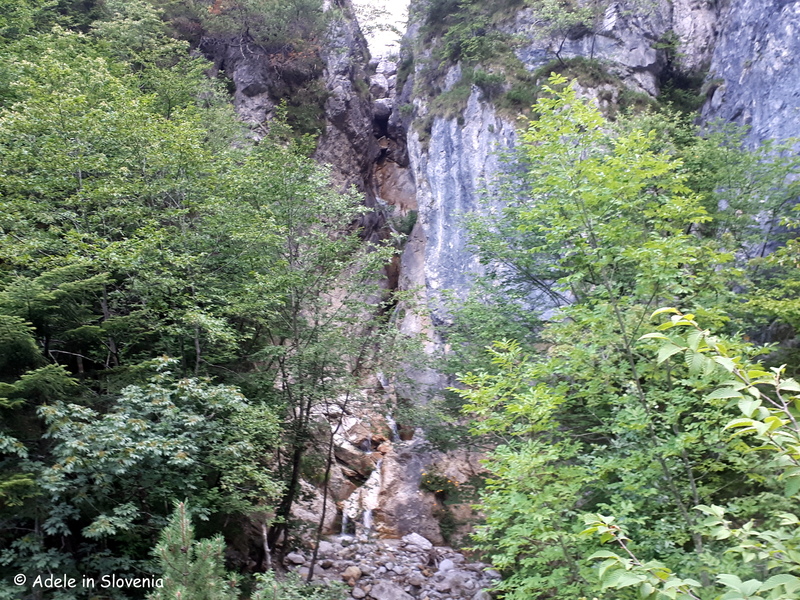 Find more information here about this and other hikes in the Žirovnica area. 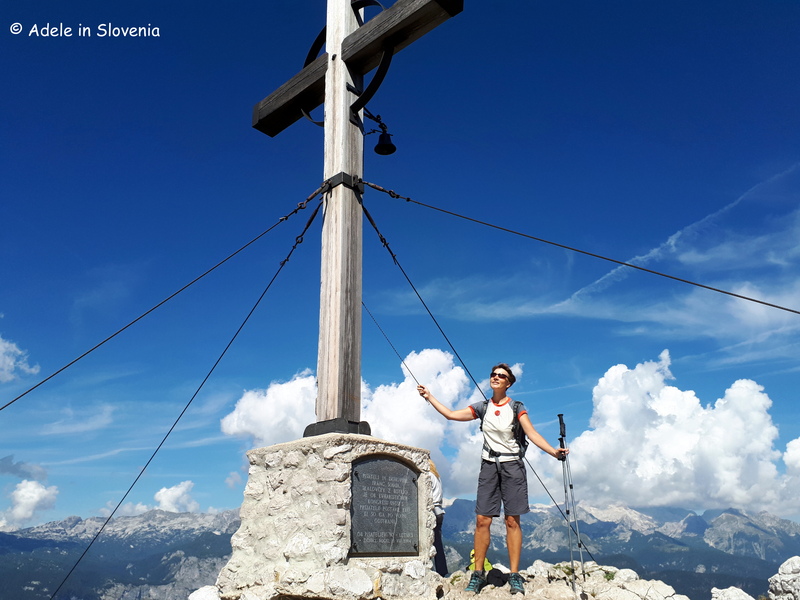 For those that like running, why not take part in the popular ‘Run Under the Free Sun‘ (Tek pod svobodnim soncem) on Saturday 1st September. 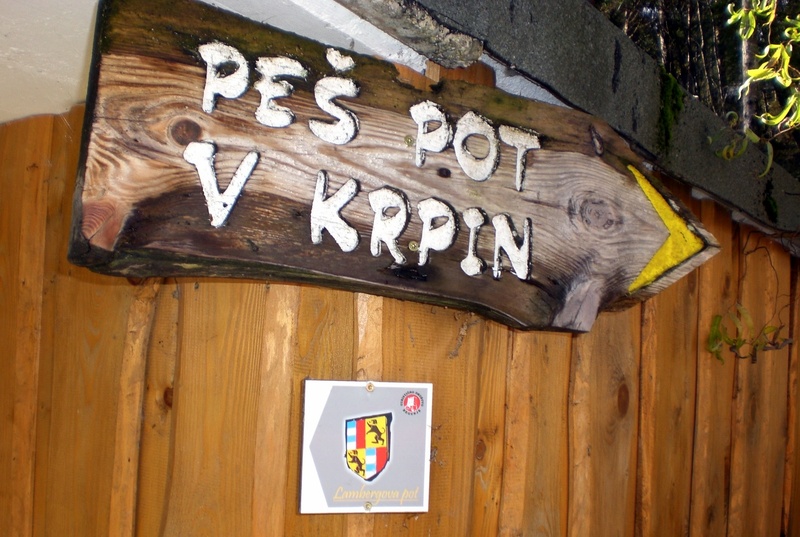 The 10.7km route, which begins at 10am, leads past the important sights along the Path of Cultural Heritage. 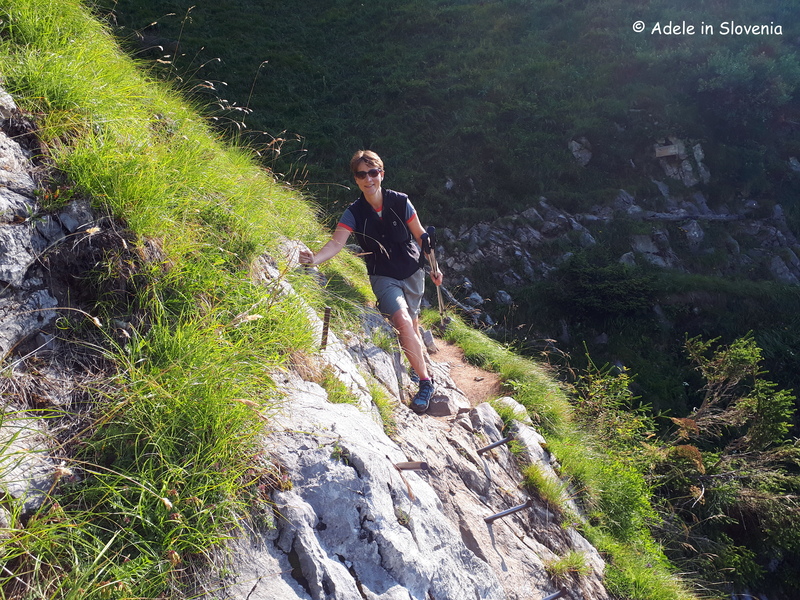 There are also shorter 200m, 400m, 600m and 900m routes, beginning at 9am, for children. 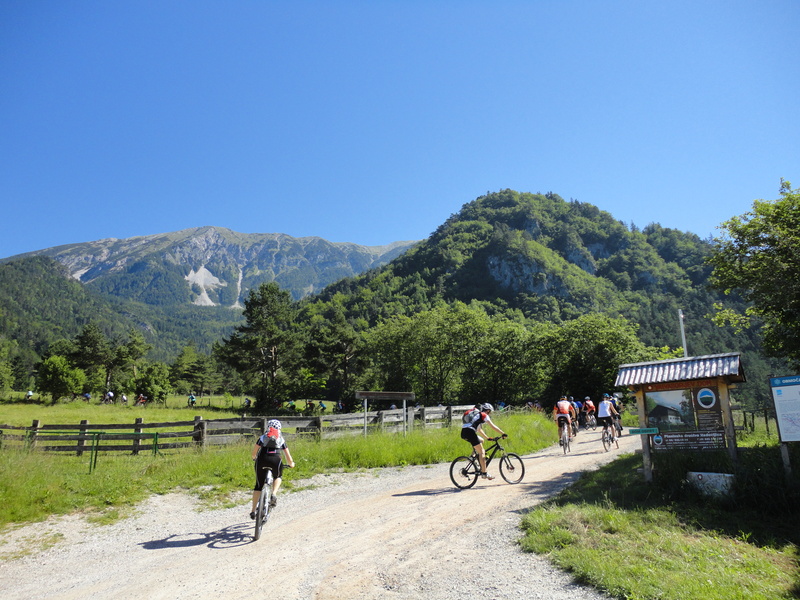 Hurry with your registrations by 28th August. 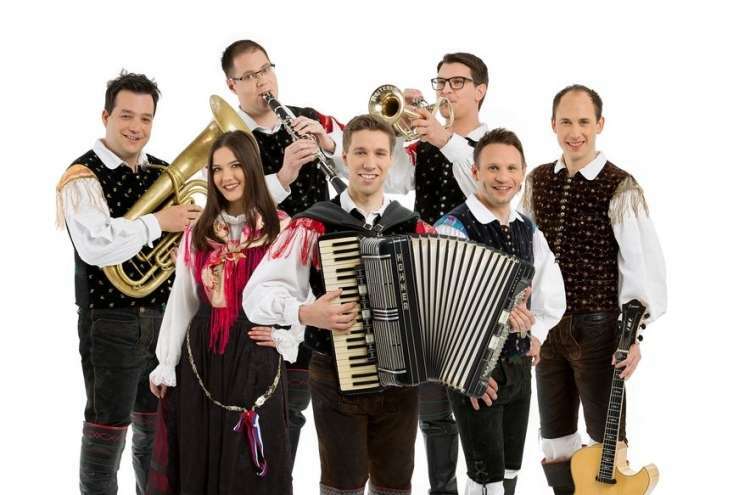 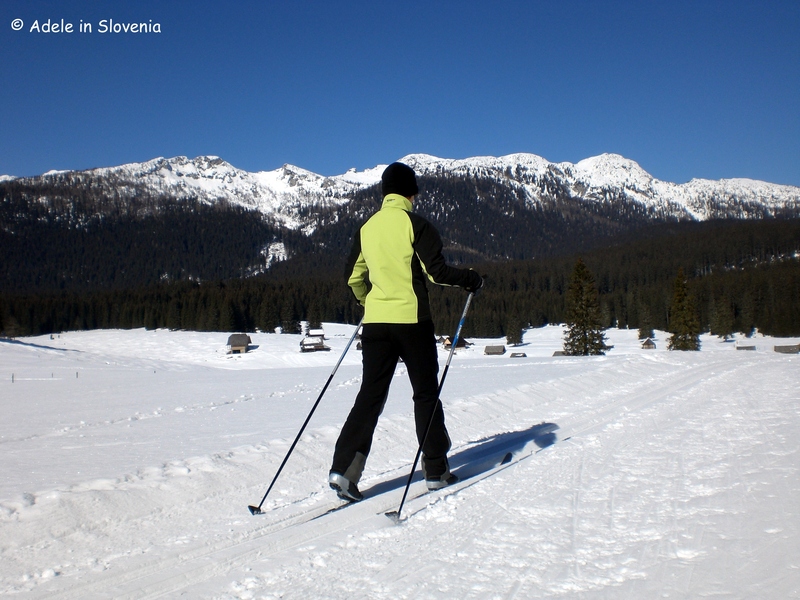 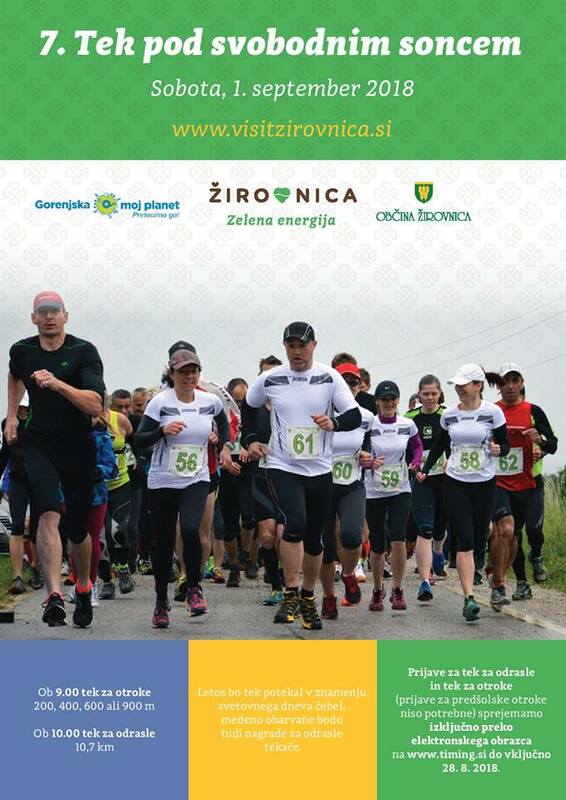 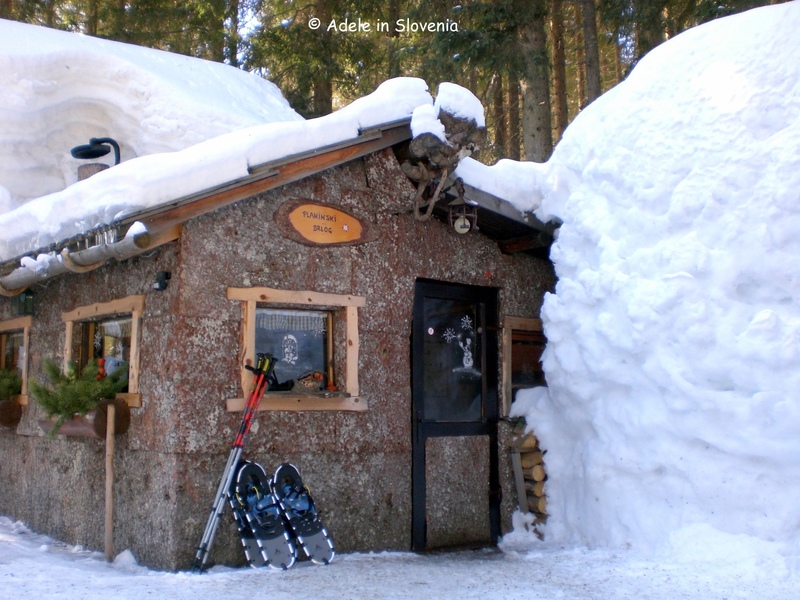 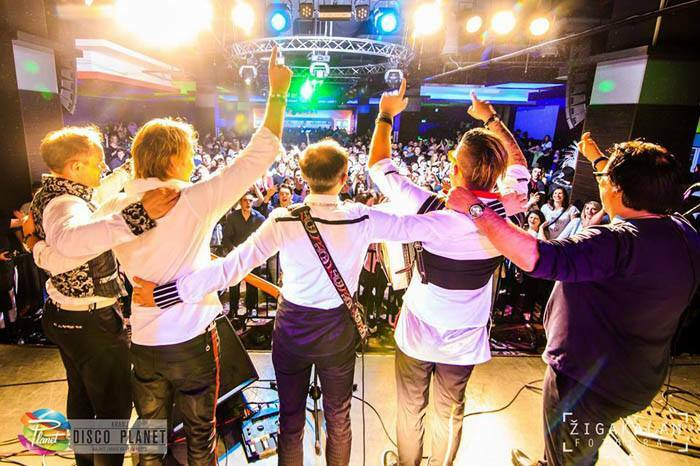 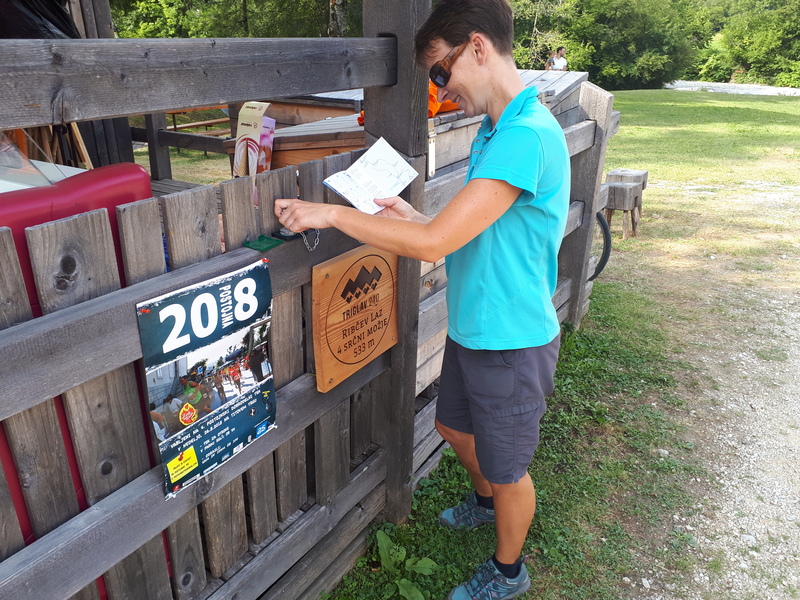 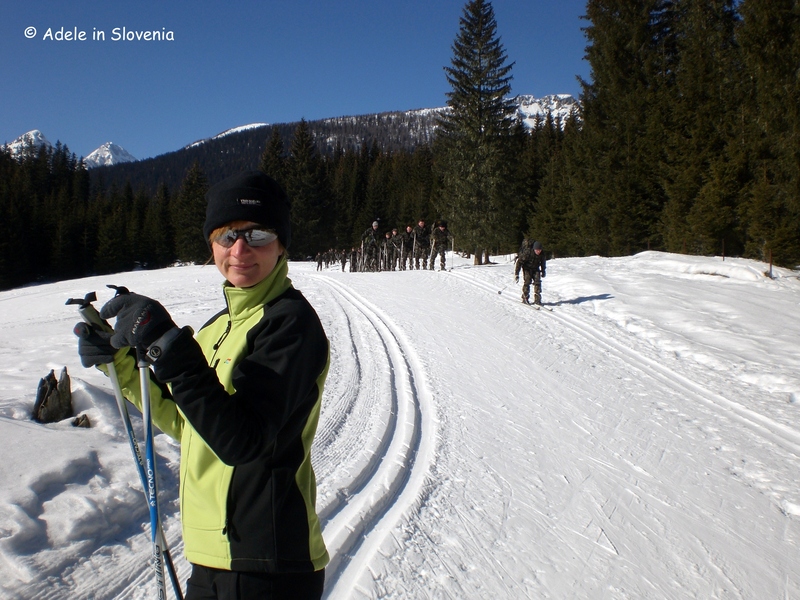 Find more here about this event and running in the Žirovnica area. 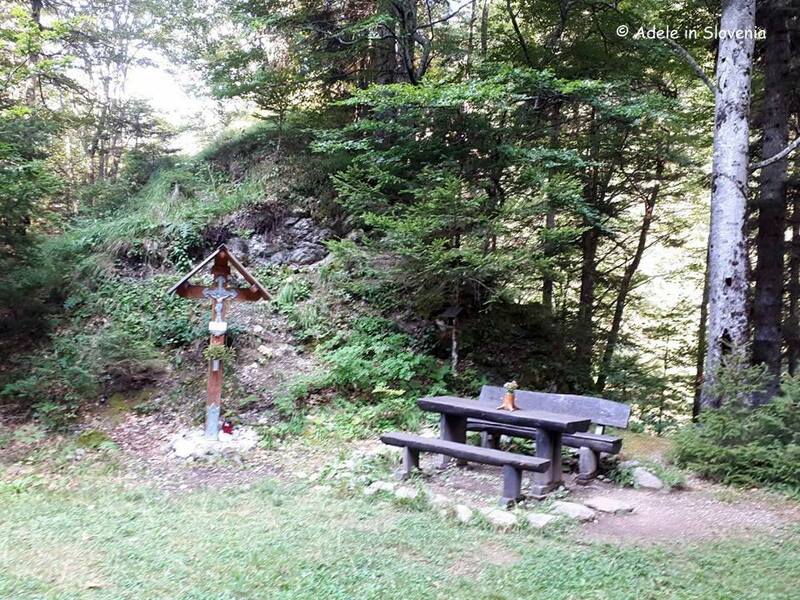 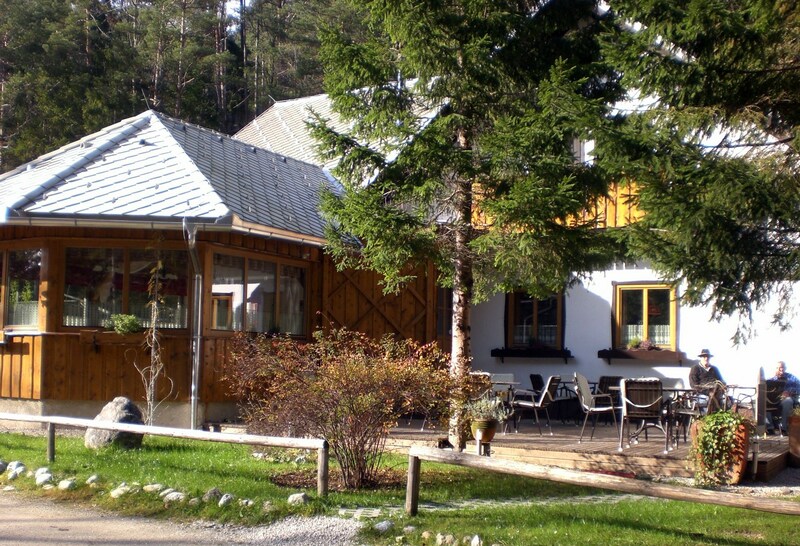 Cyclists are also well catered for in the Žirovnica area. 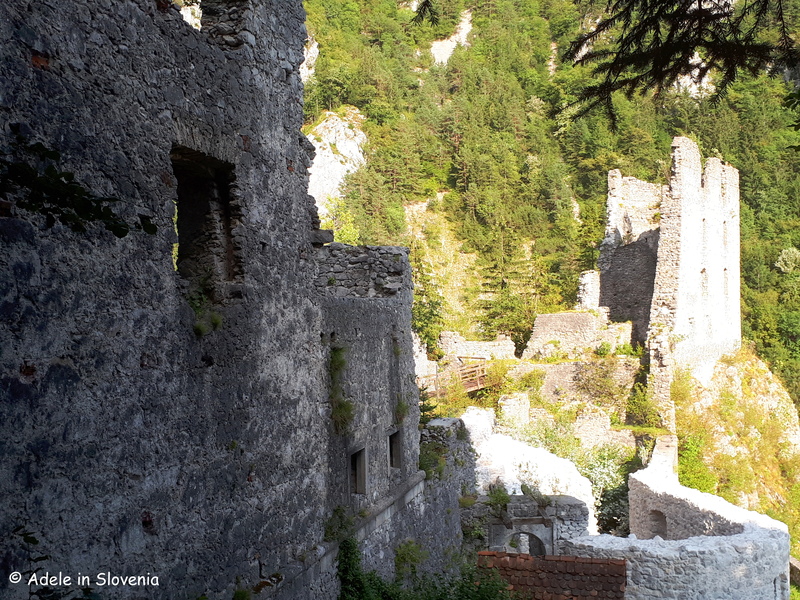 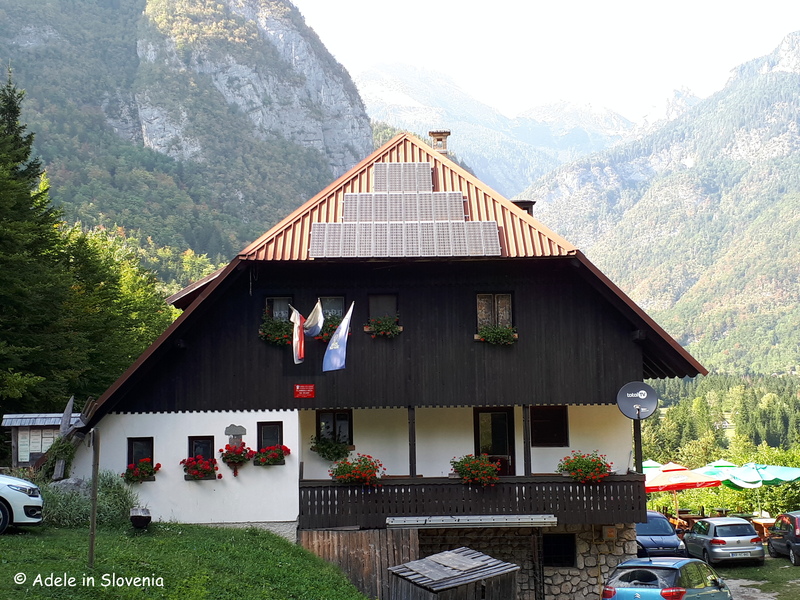 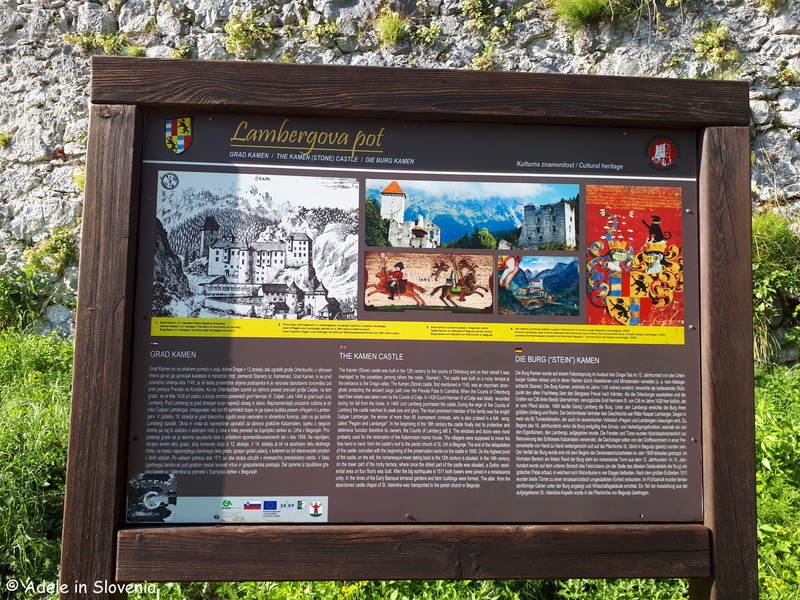 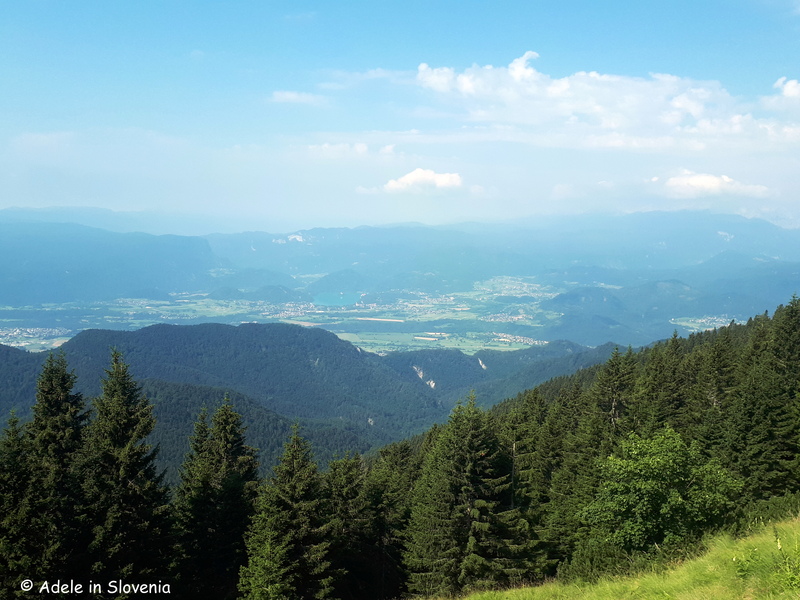 From short, easy rides on the flat Imperial Road, and along the Path of Cultural Heritage, to longer, more challenging rides in the Završnica valley and onwards to the numerous mountain pastures beneath Stol. 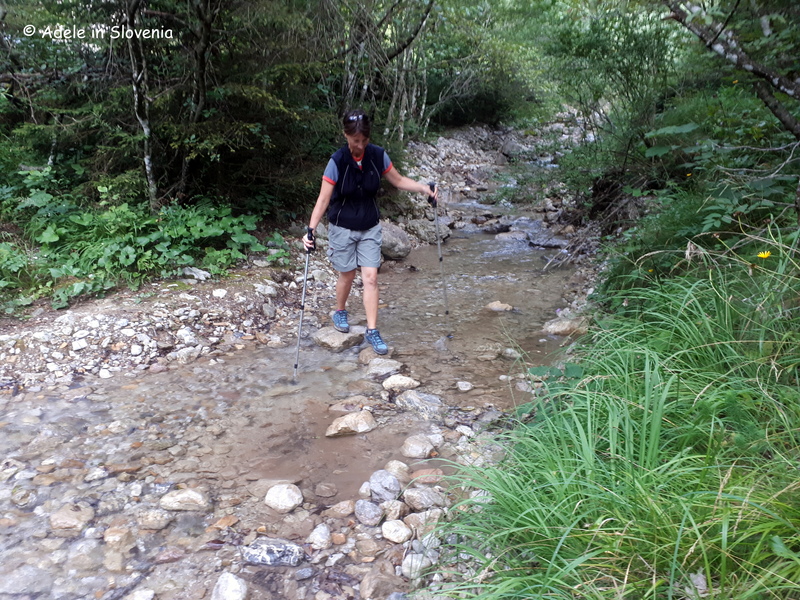 More information and route descriptions can be found here. 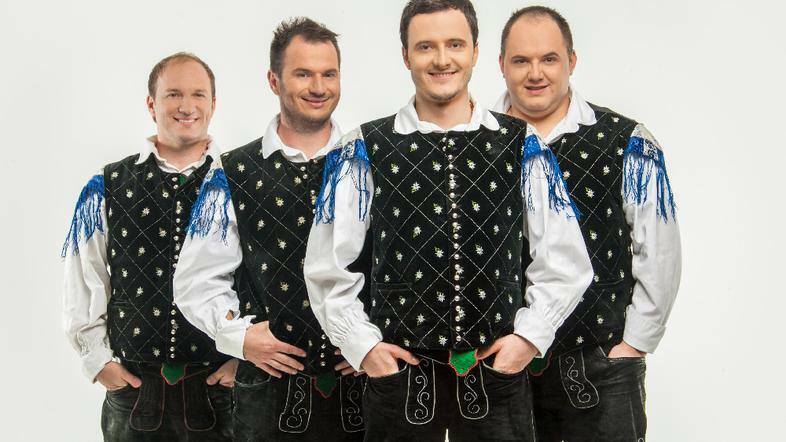 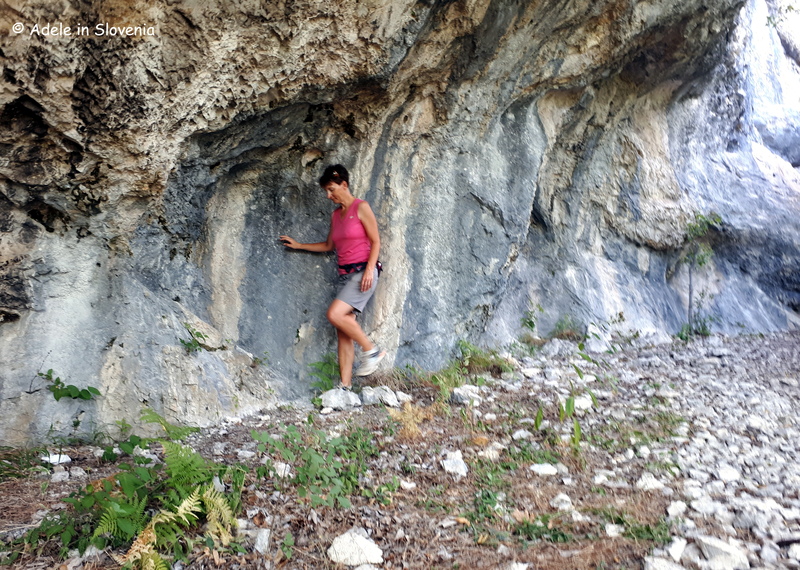 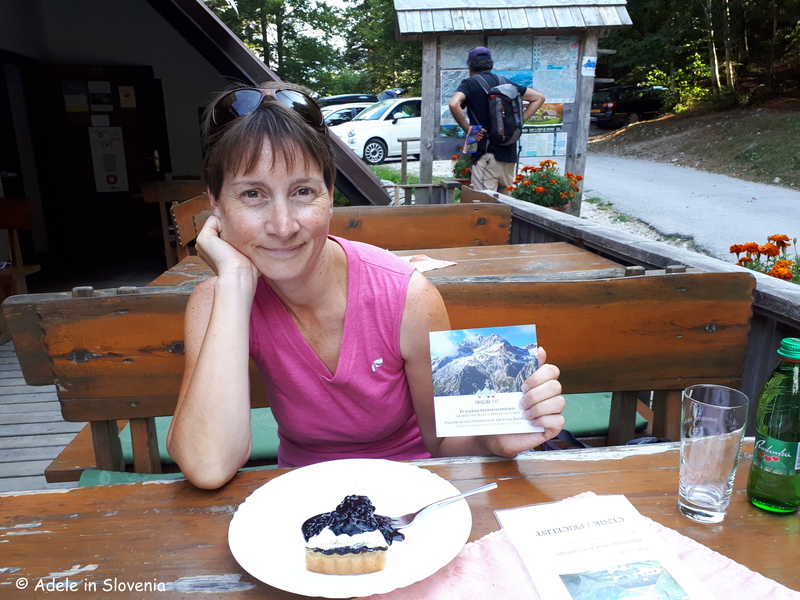 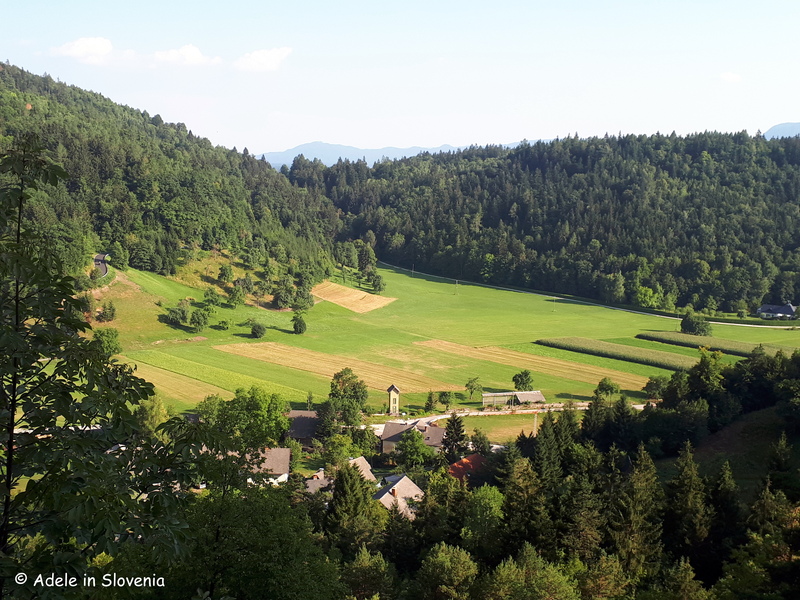 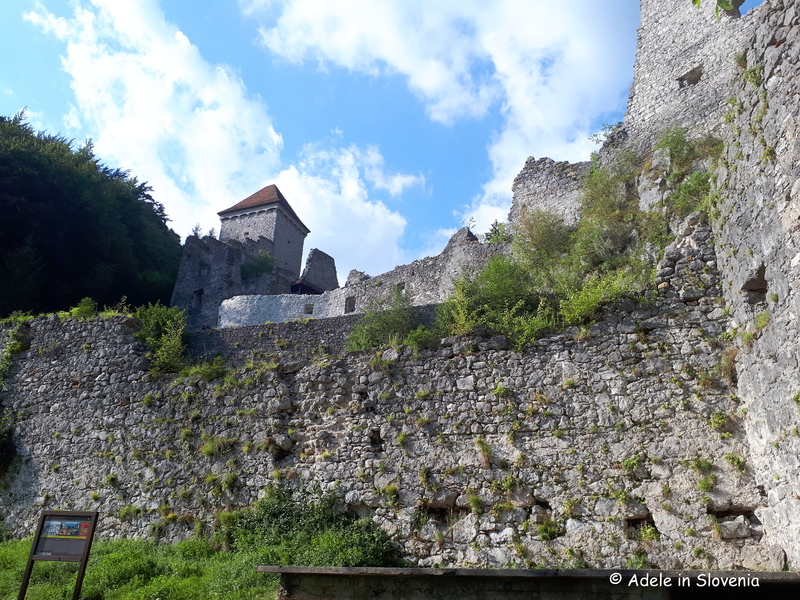 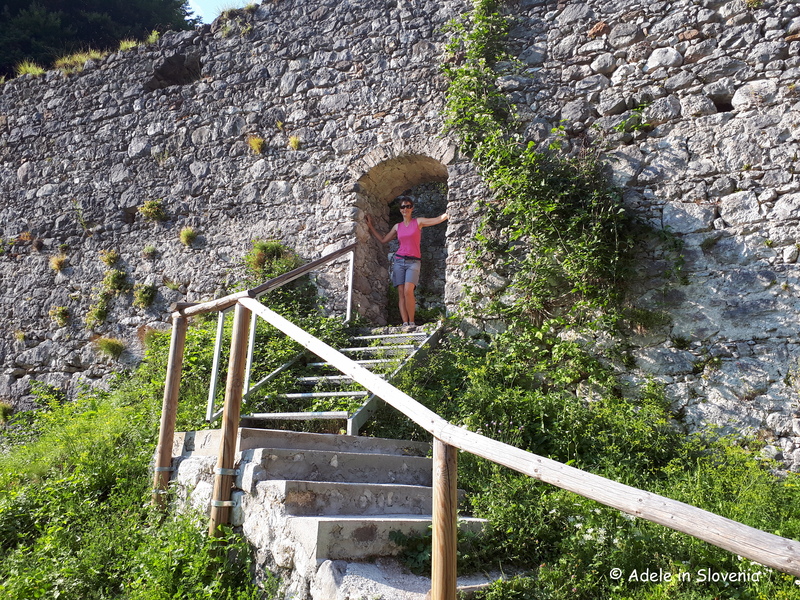 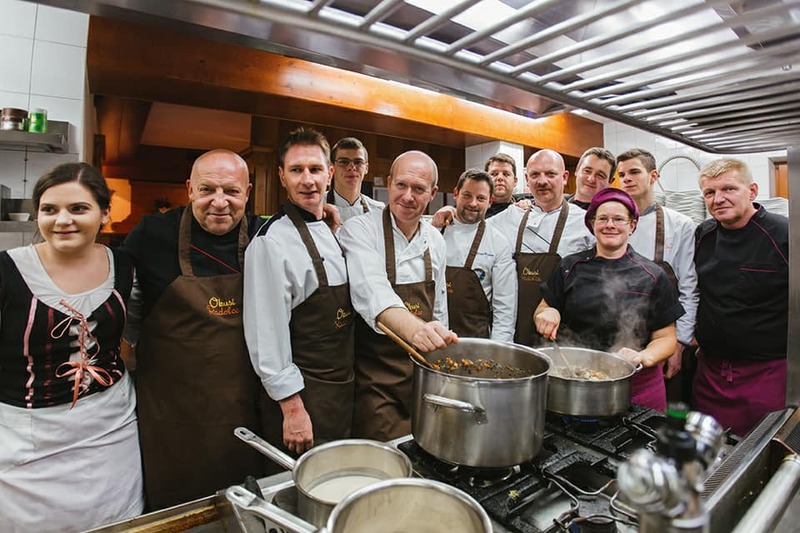 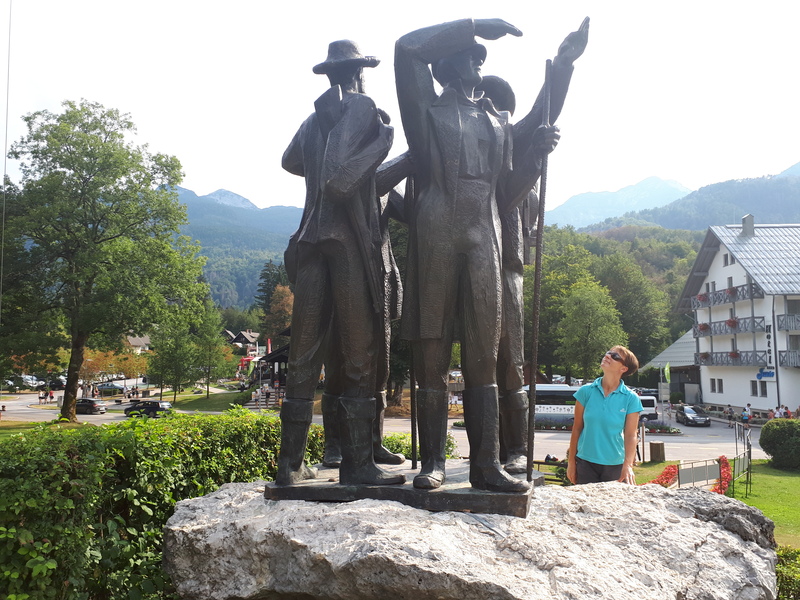 So, as you can see, there really is something for everyone and lovers of sports, culture and, not forgetting, beekeeping, should make a beeline for Žirovnica! 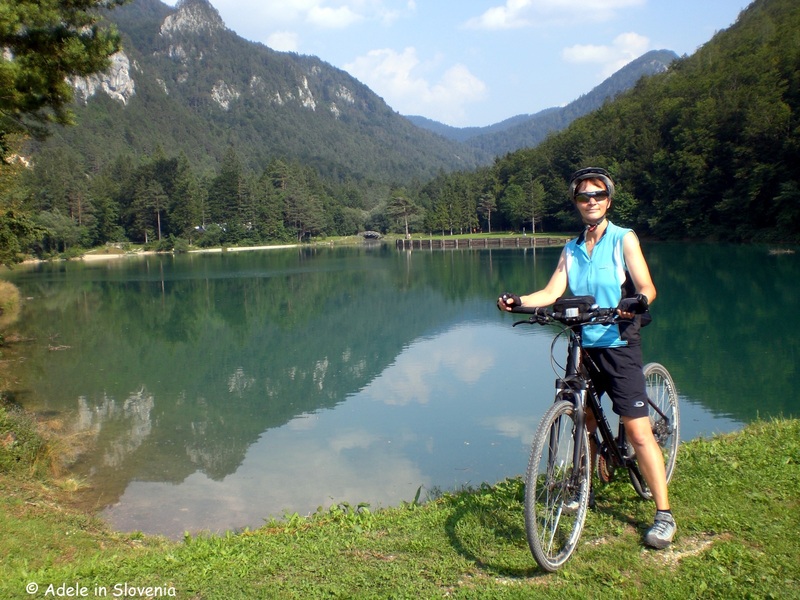 There’s a fair chance you will find me there on my bike or on foot too!